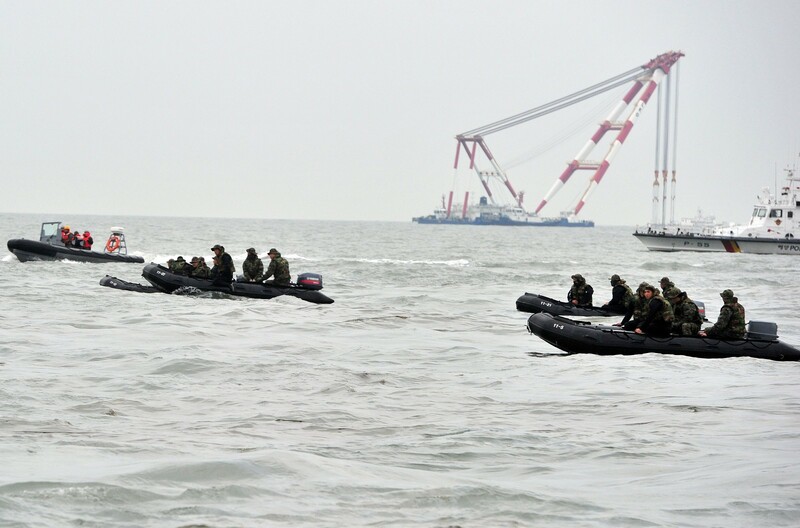 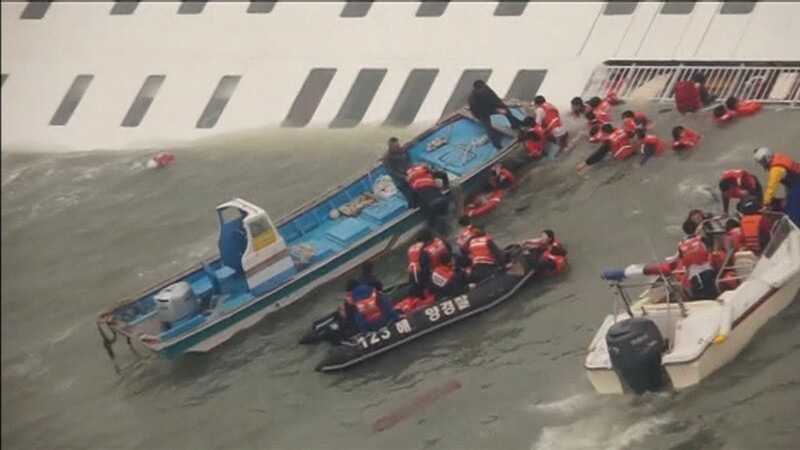 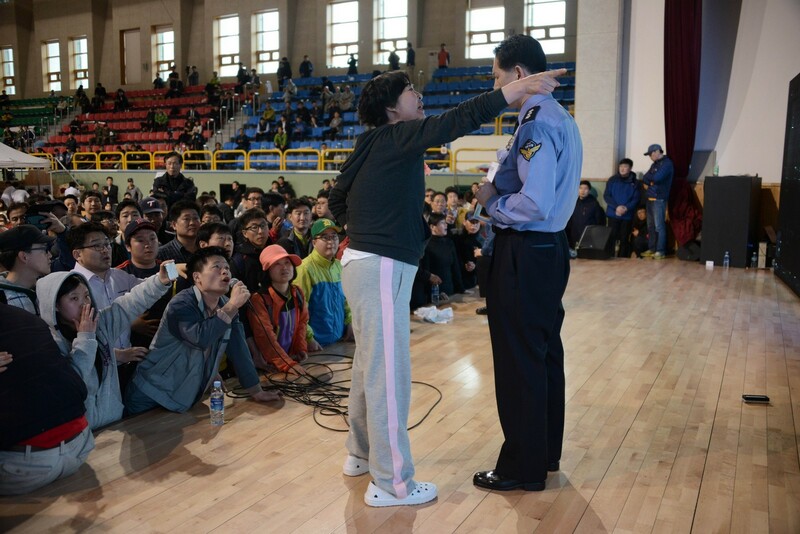 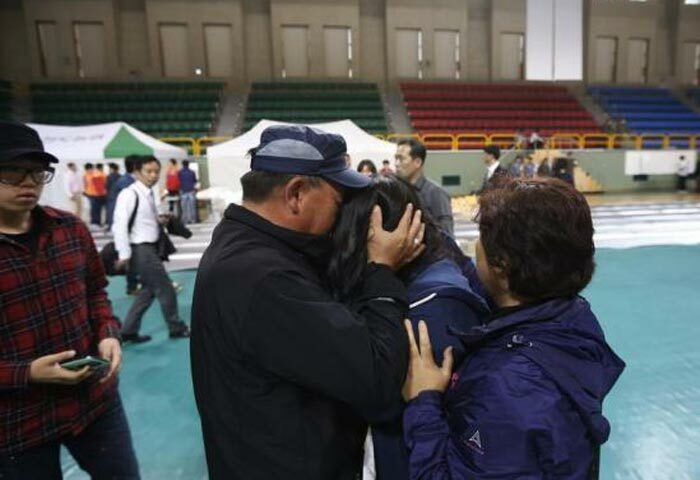 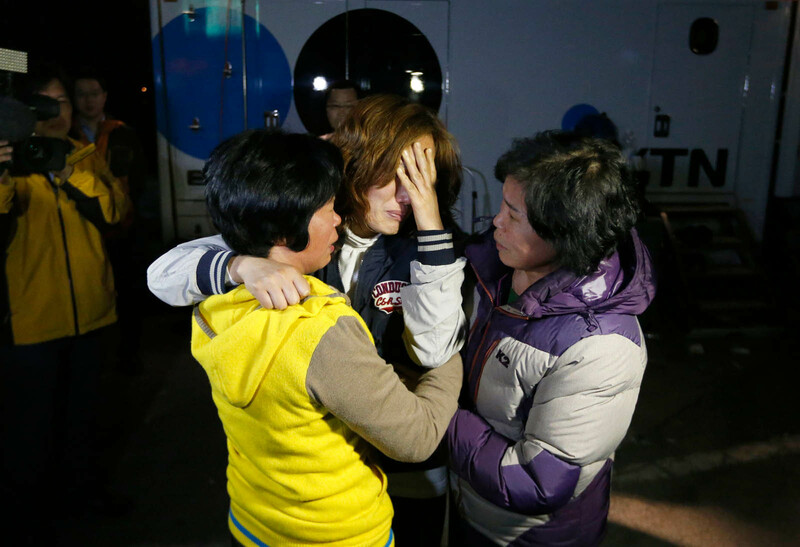 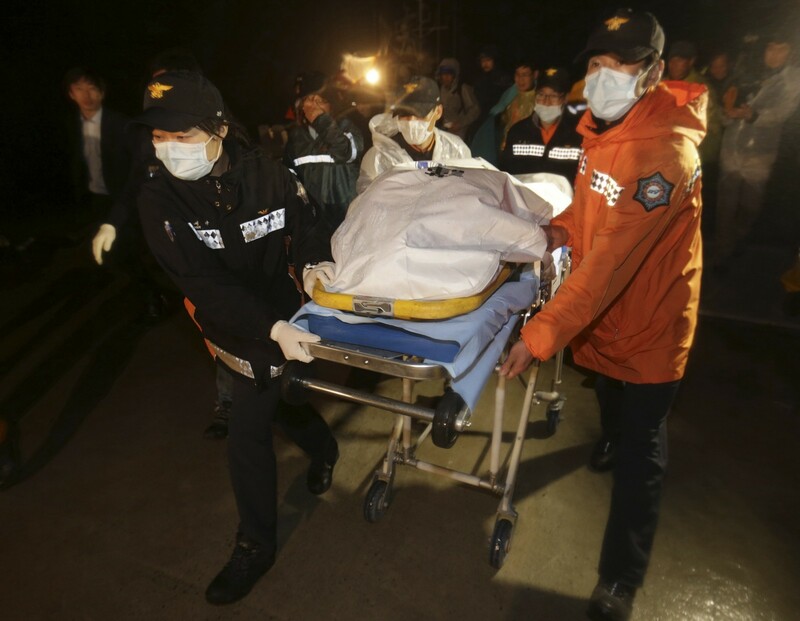 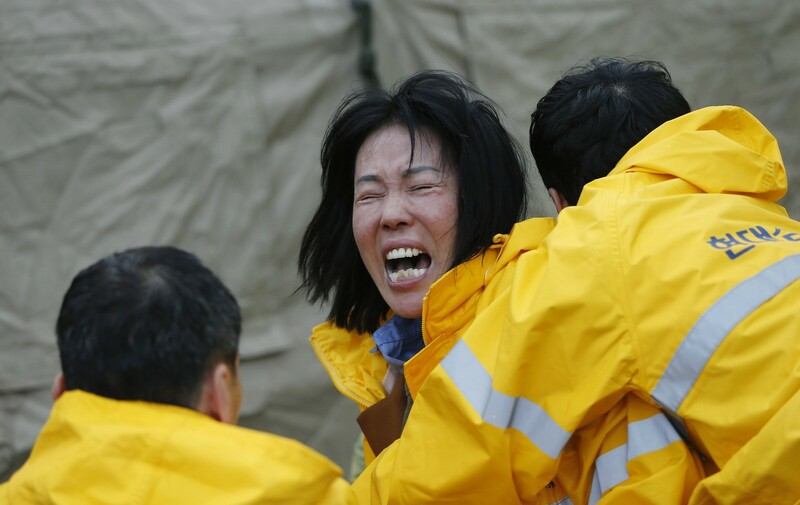 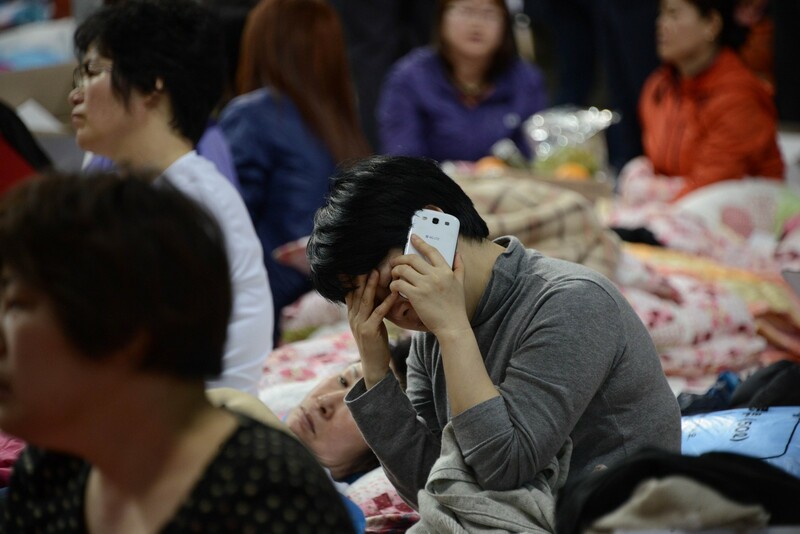 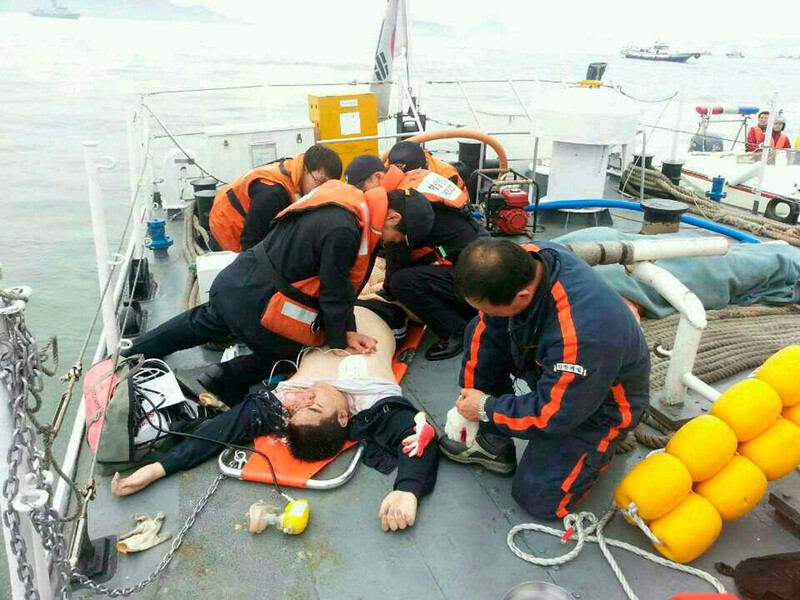 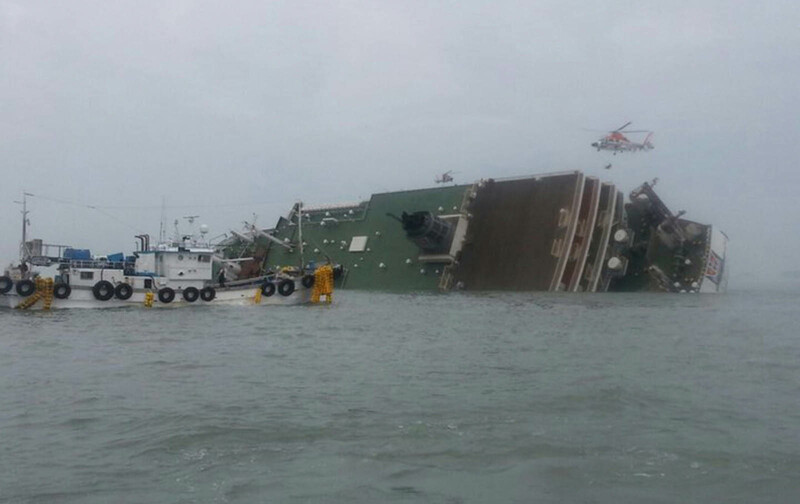 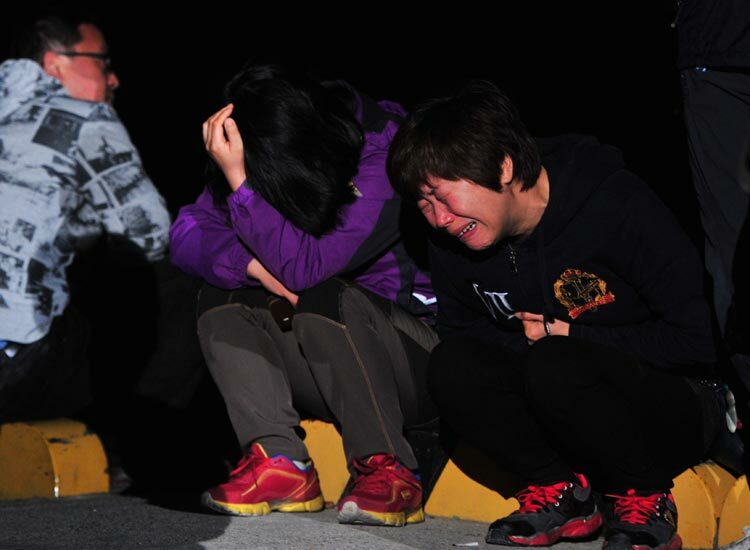 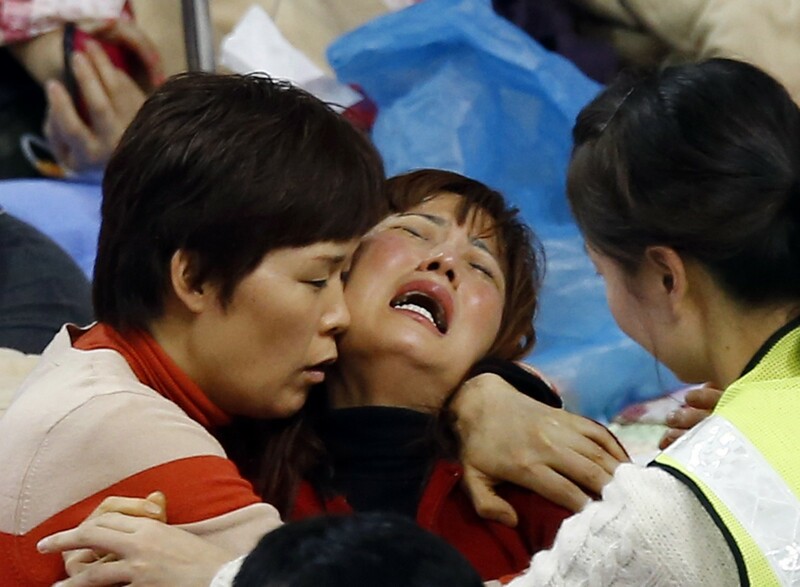 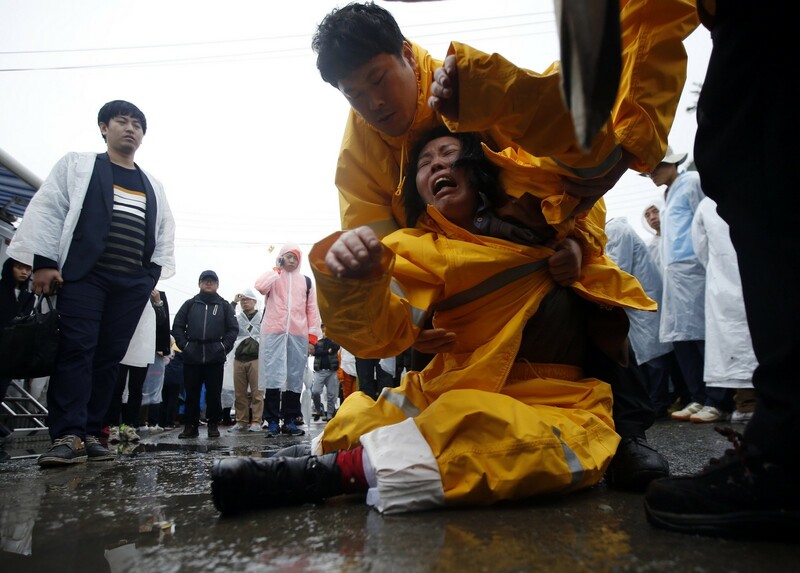 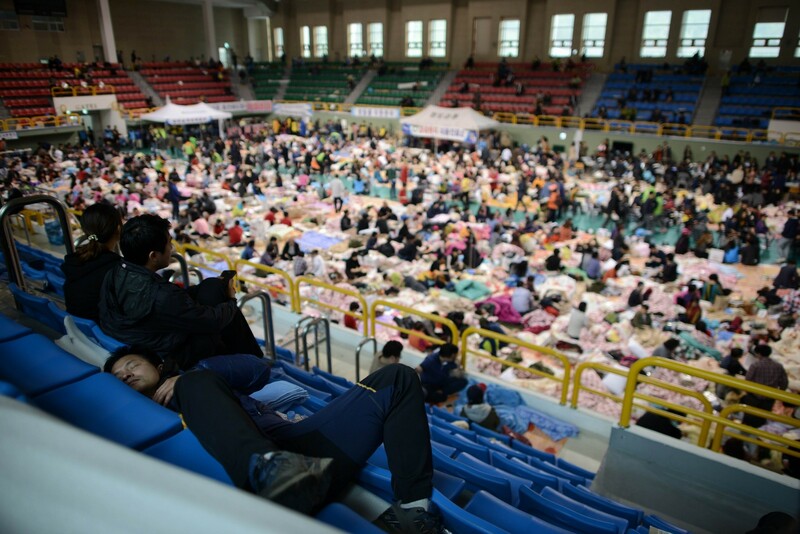 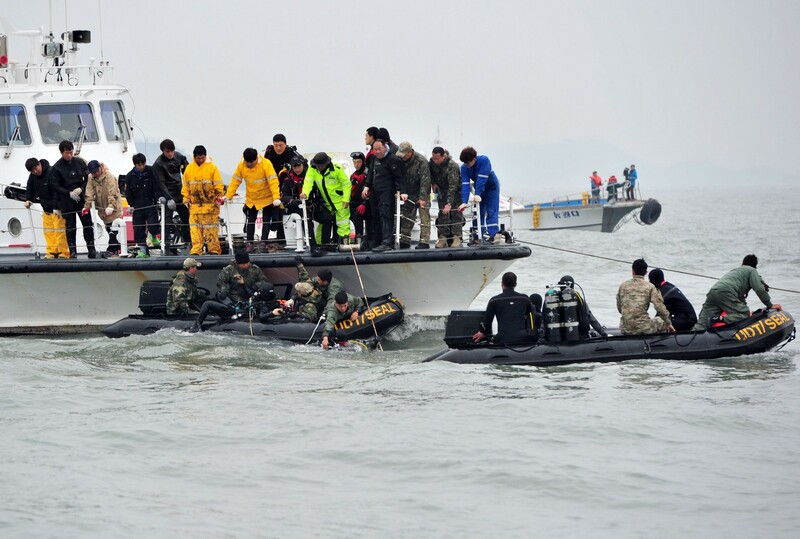 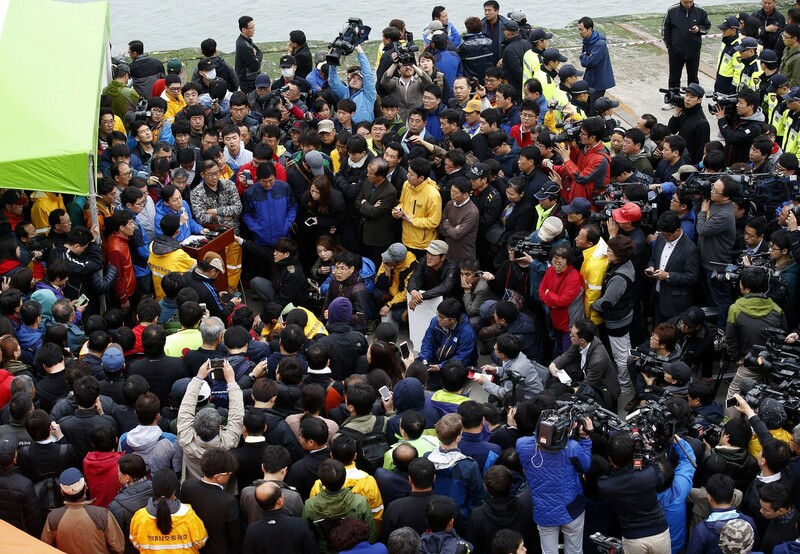 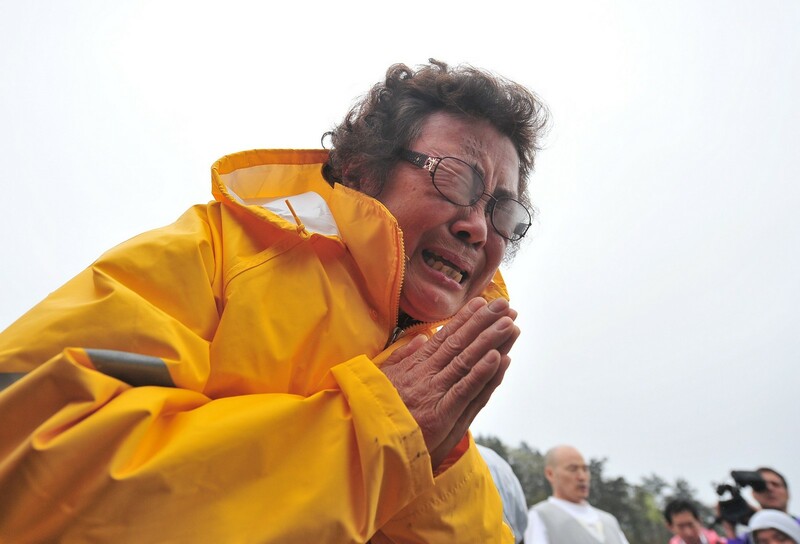 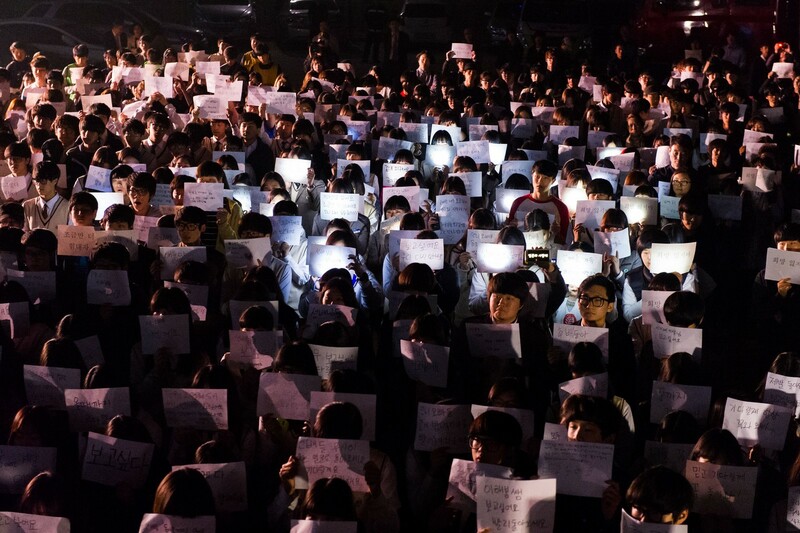 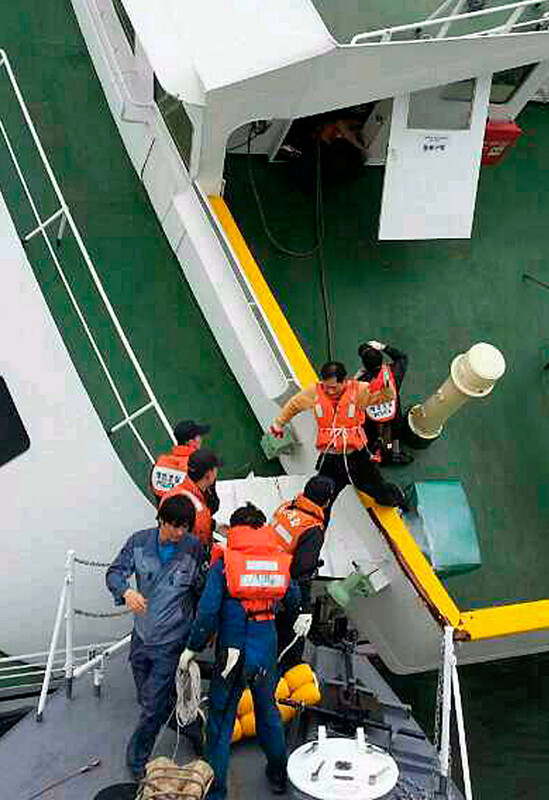 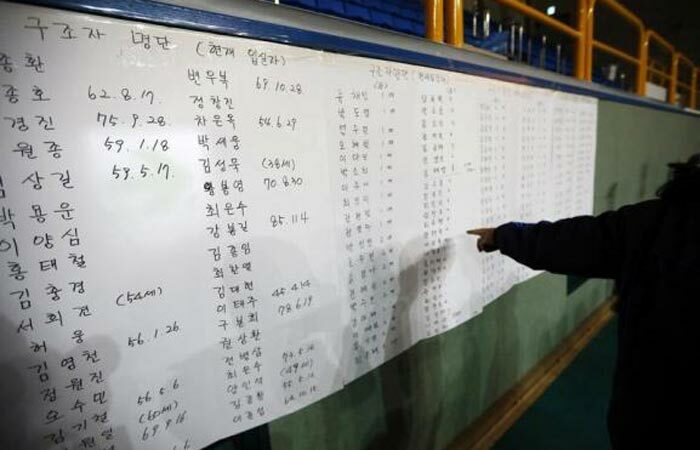 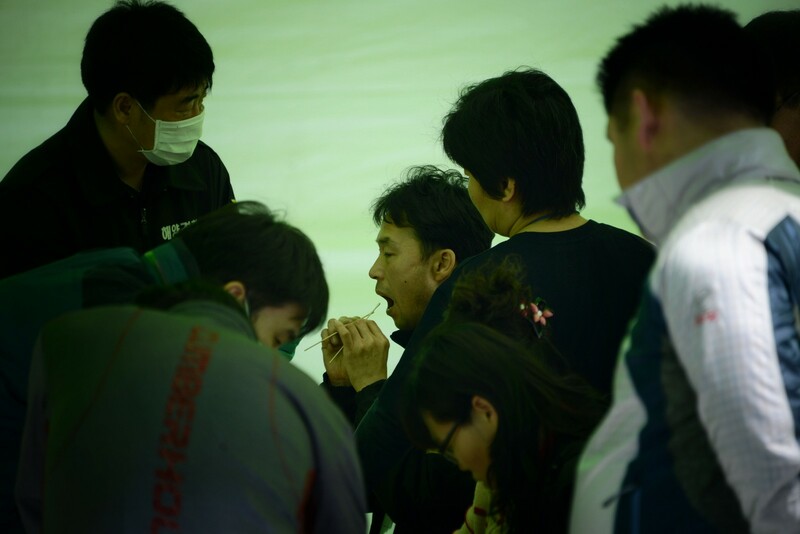 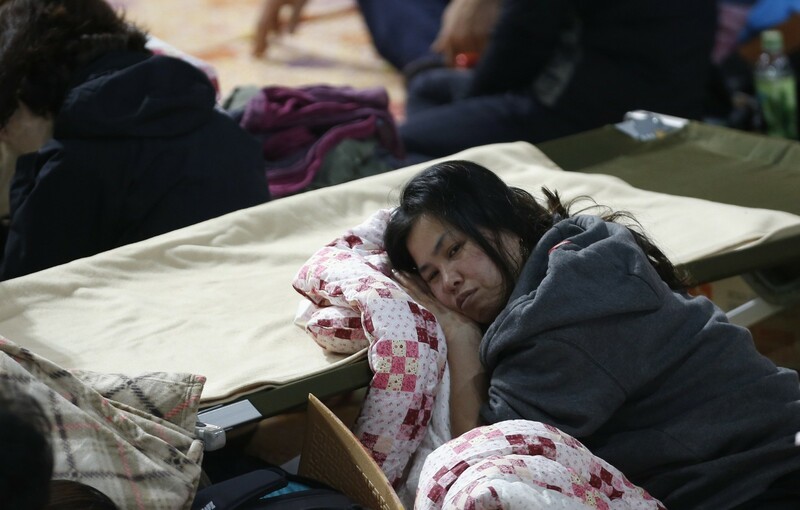 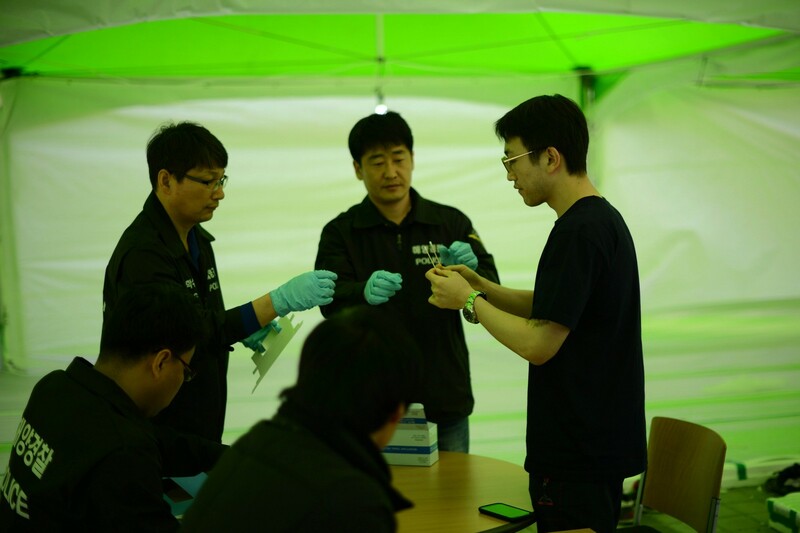 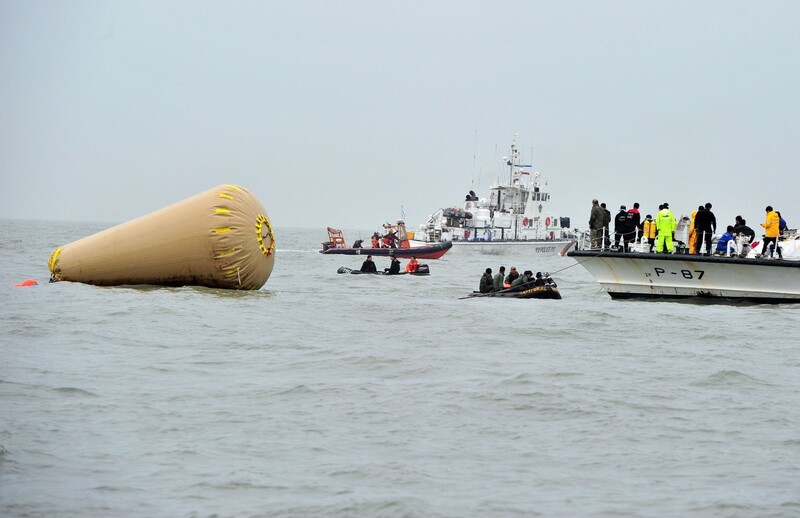 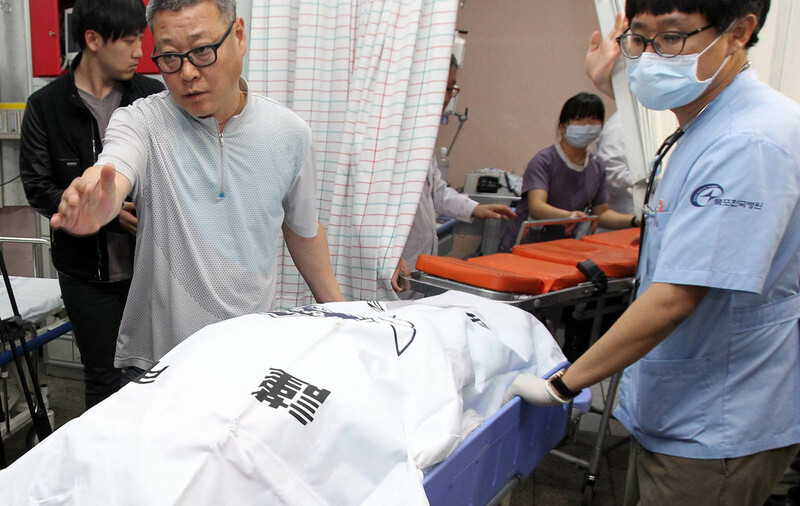 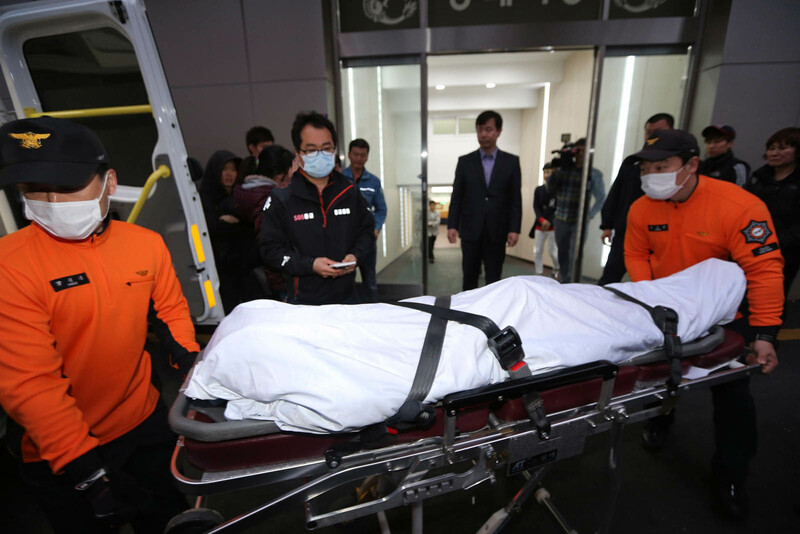 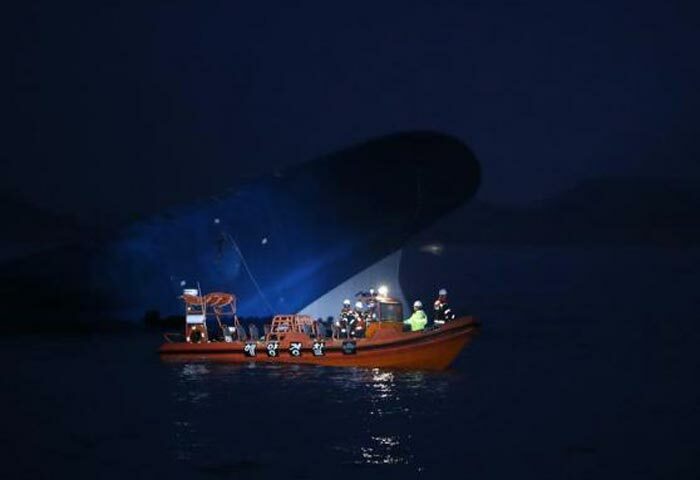 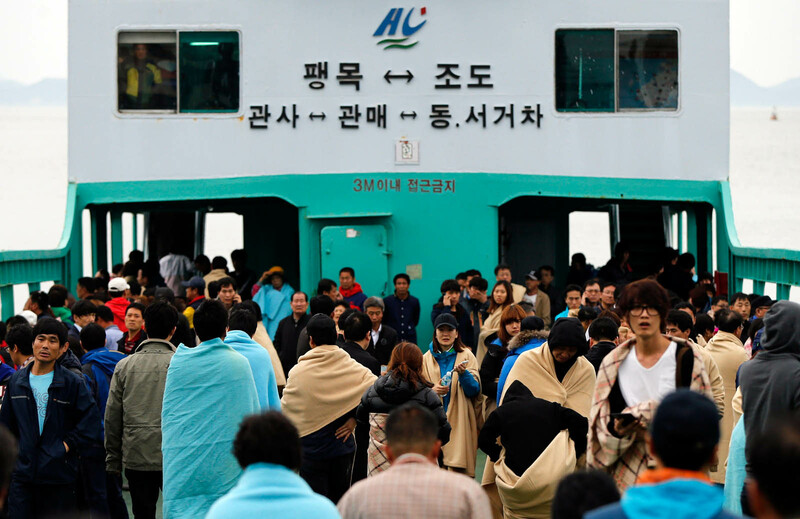 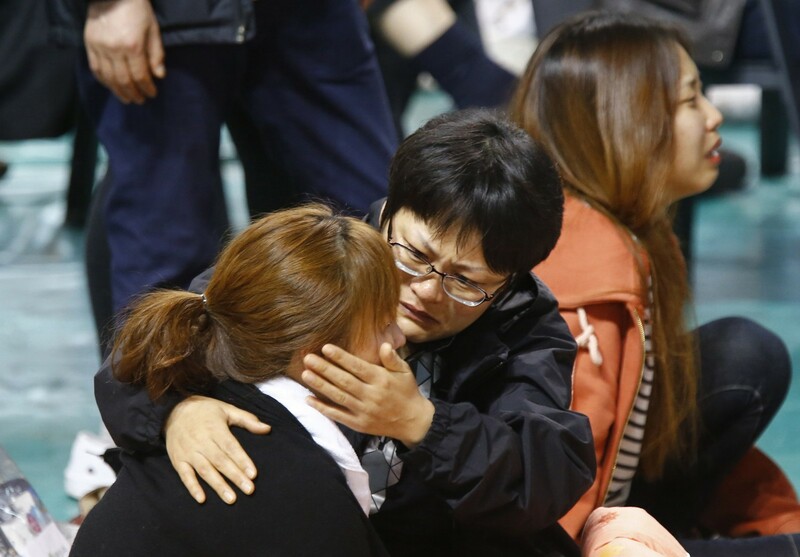 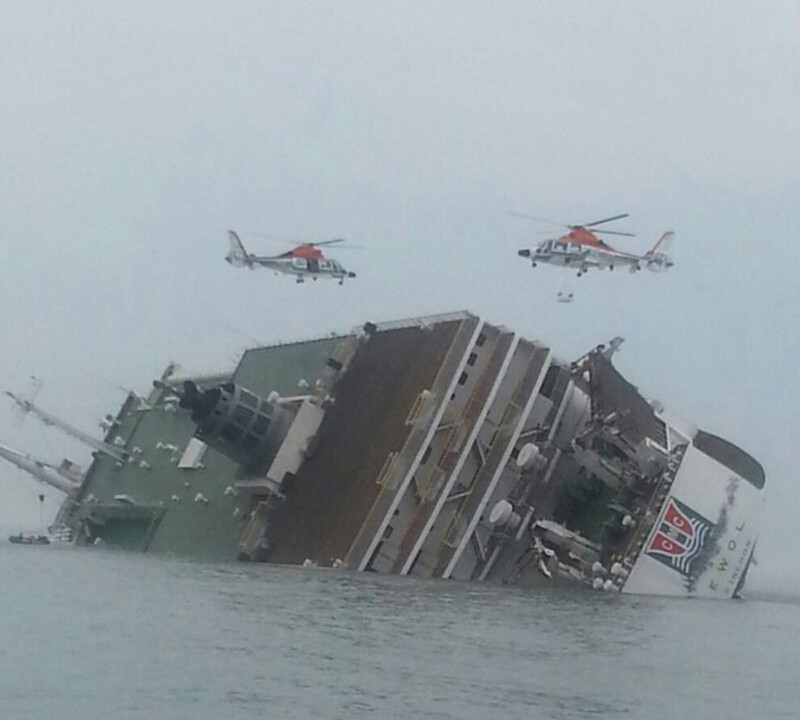 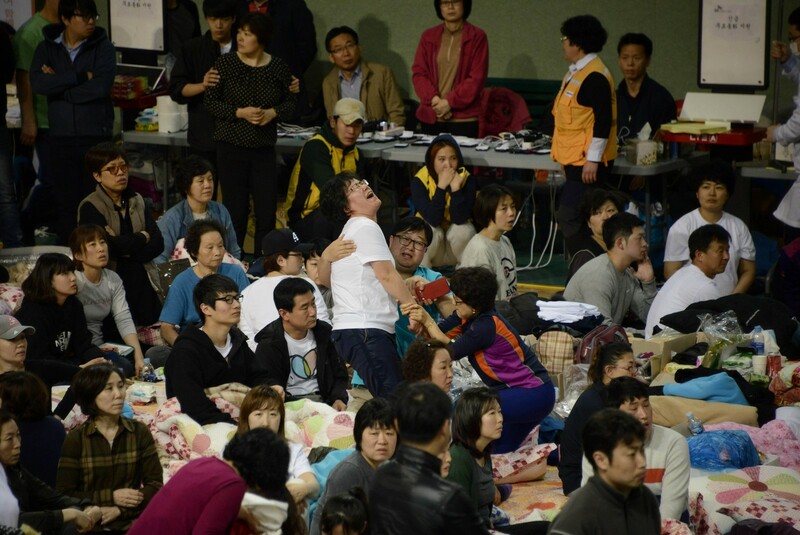 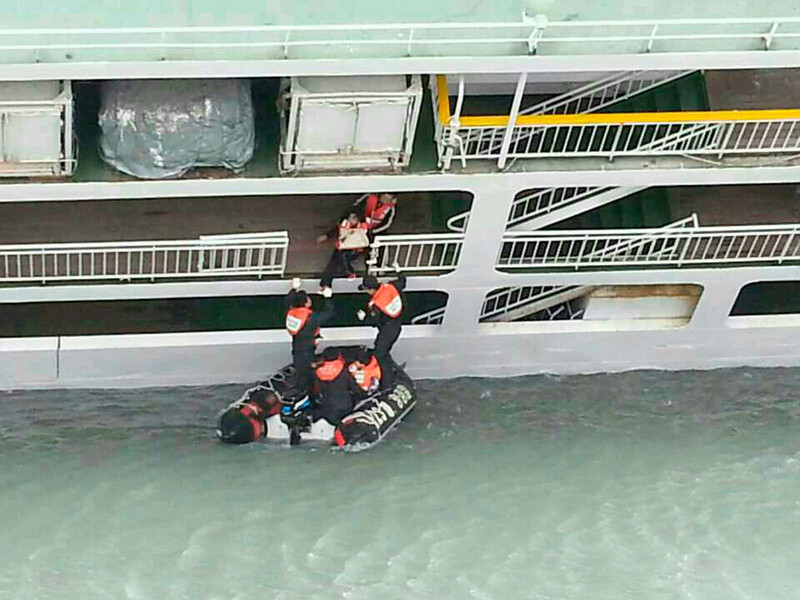 Hundreds of civilian, Coast Guard and Navy divers are putting their lives on the line to search for the missing passengers of the capsized ferry Sewol. 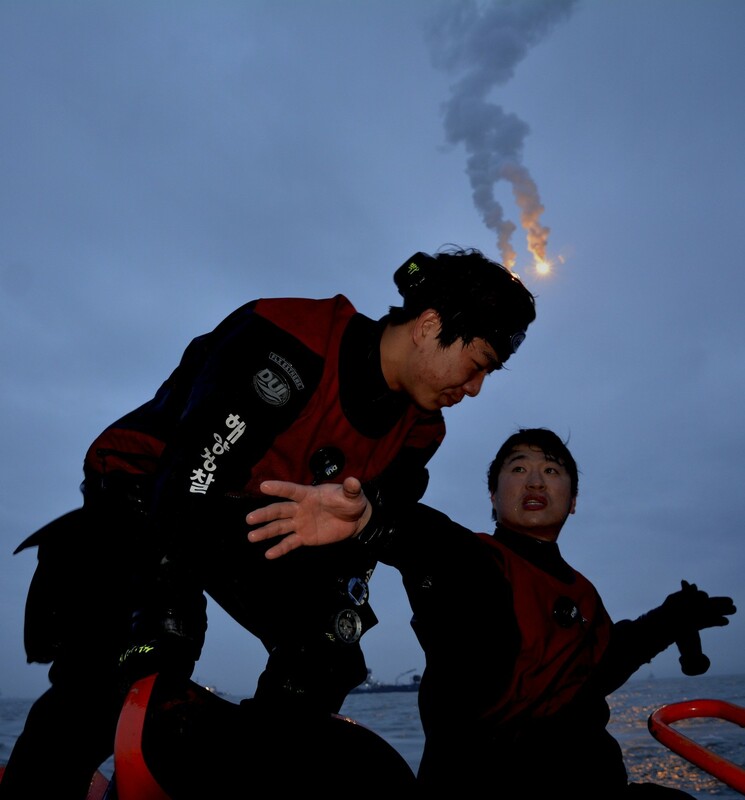 Late Saturday, divers successfully entered the wreckage after four days of efforts that were frustrated by dangerous conditions. 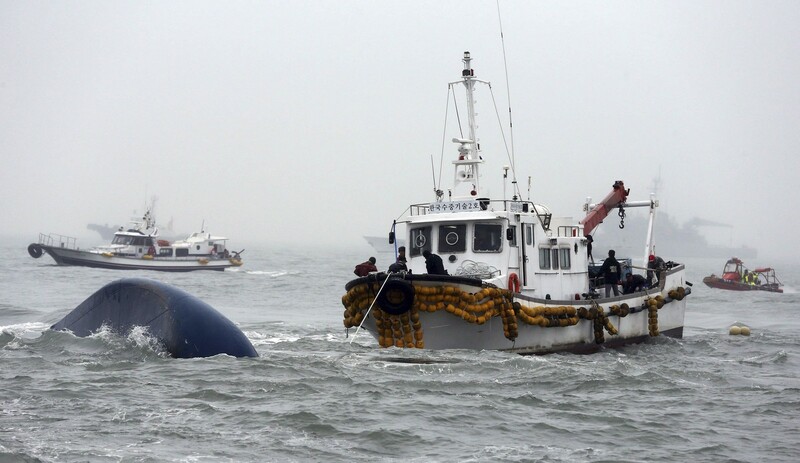 The rescue divers are taking on the daunting task despite the potentially life-threatening circumstances, in the hopes of finding survivors inside the vessel. 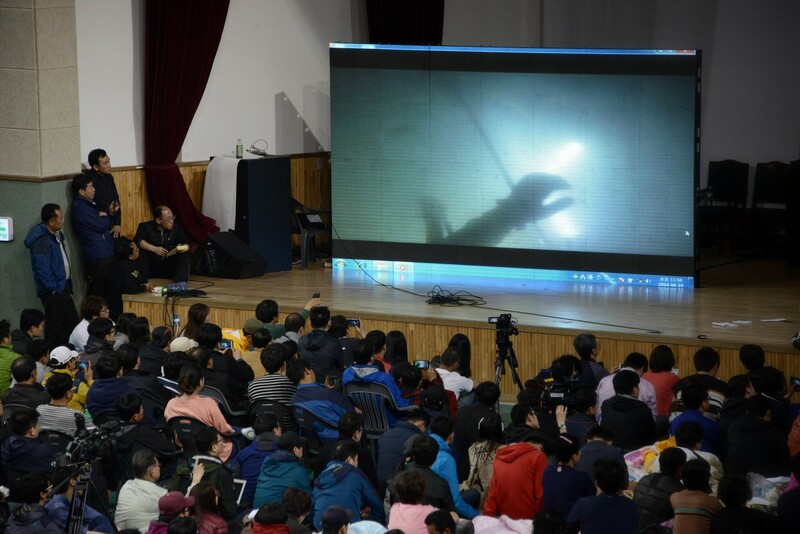 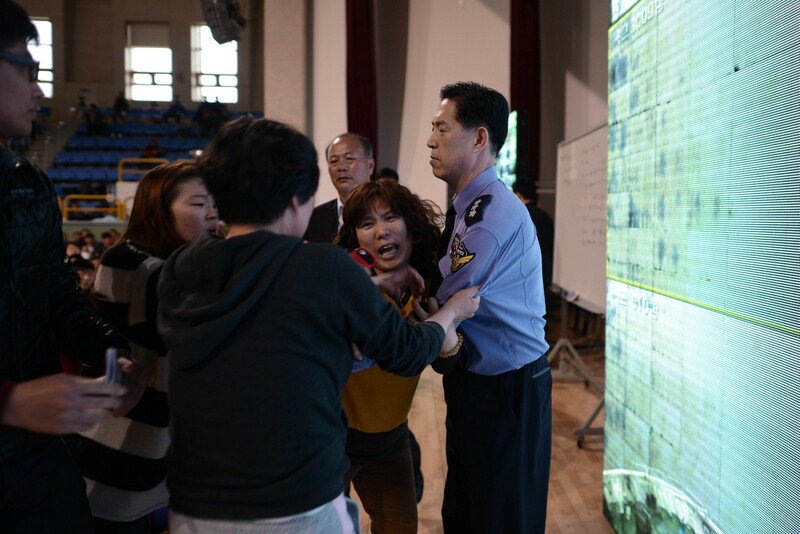 Many of the civilian divers view the matter as if the victims were their own families. 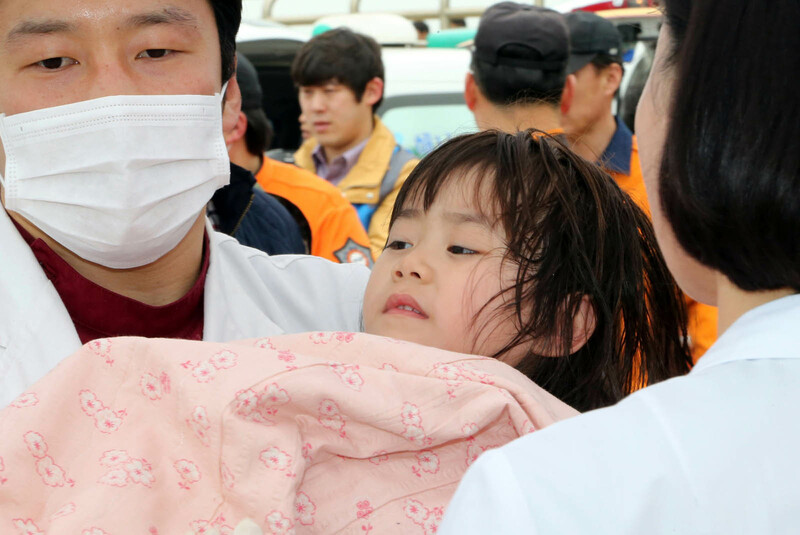 "I'm also a parent. 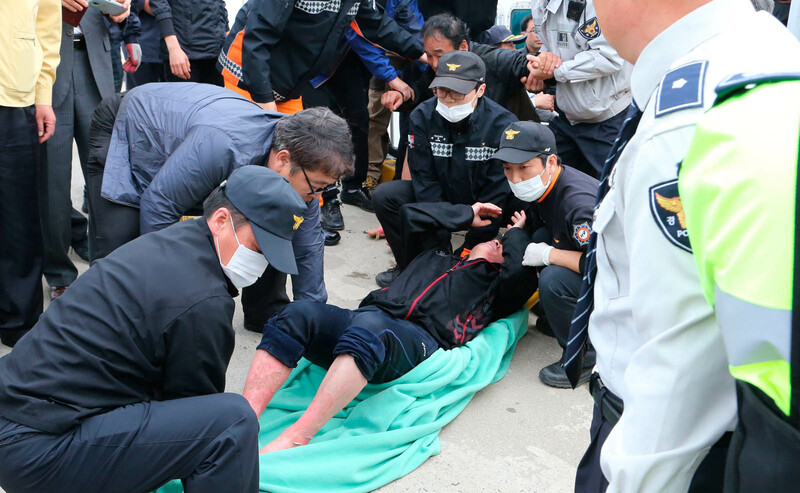 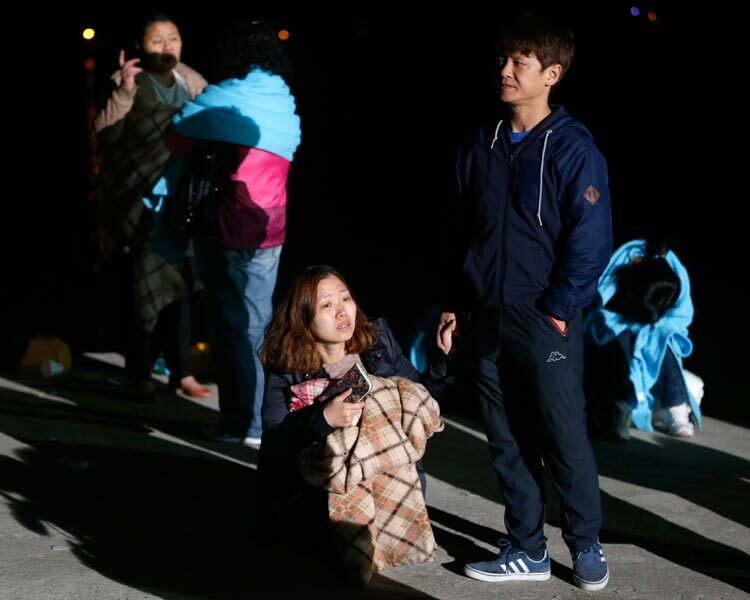 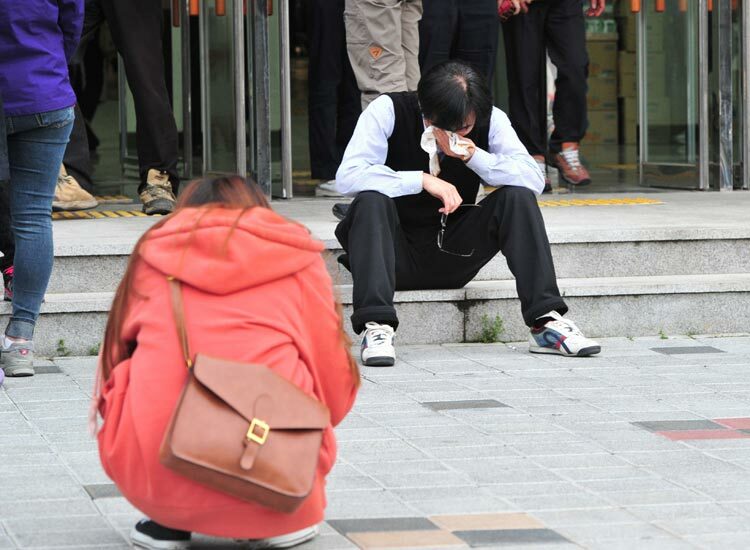 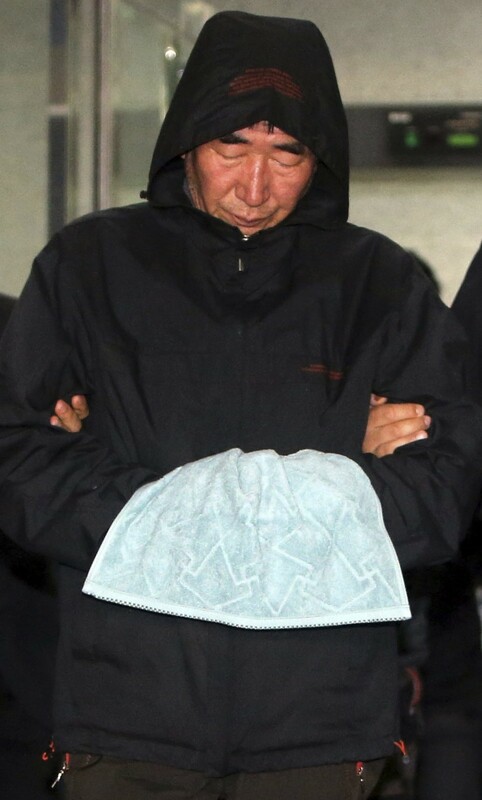 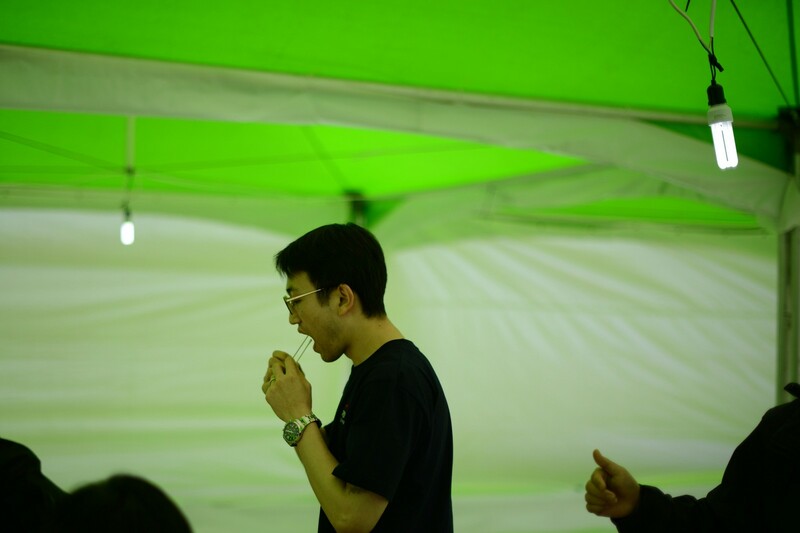 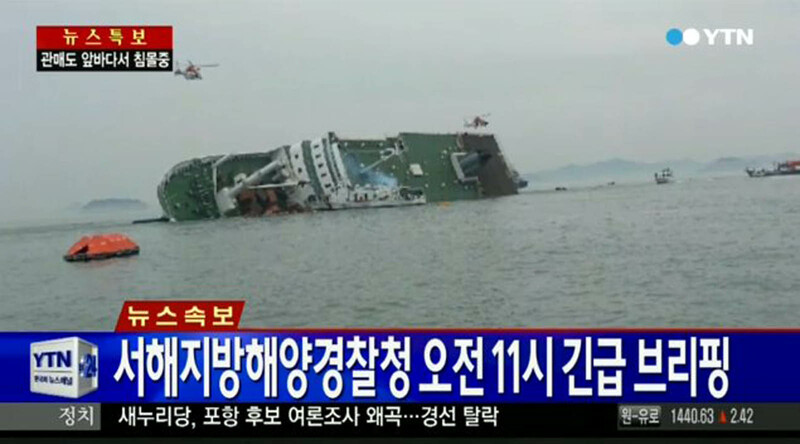 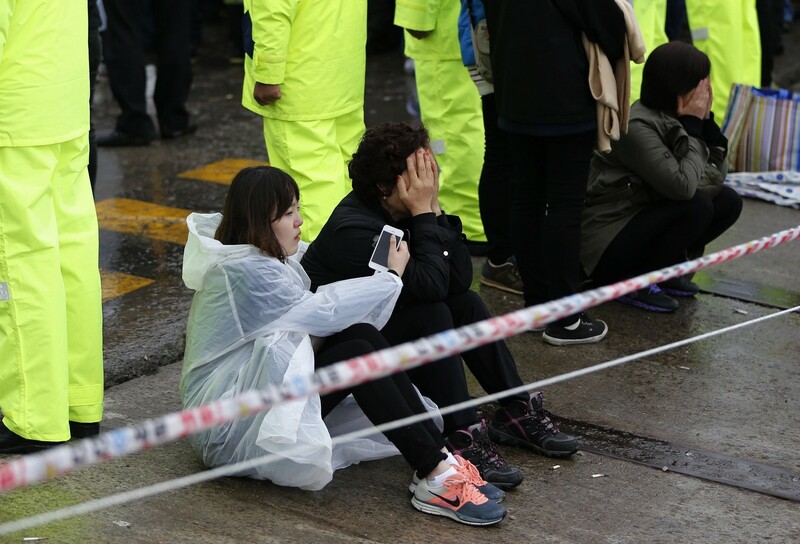 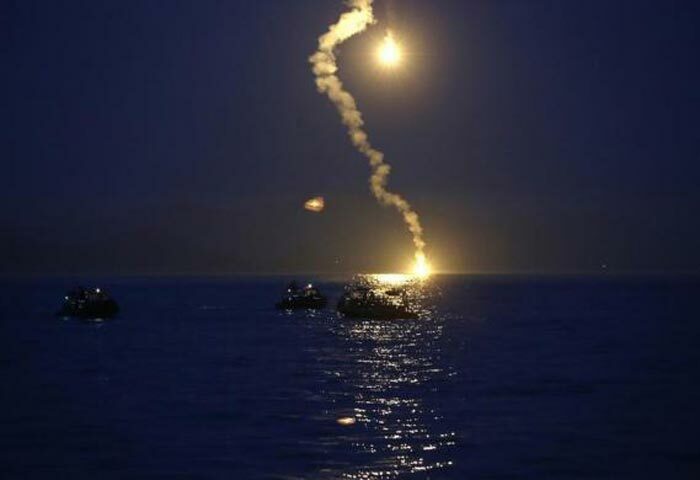 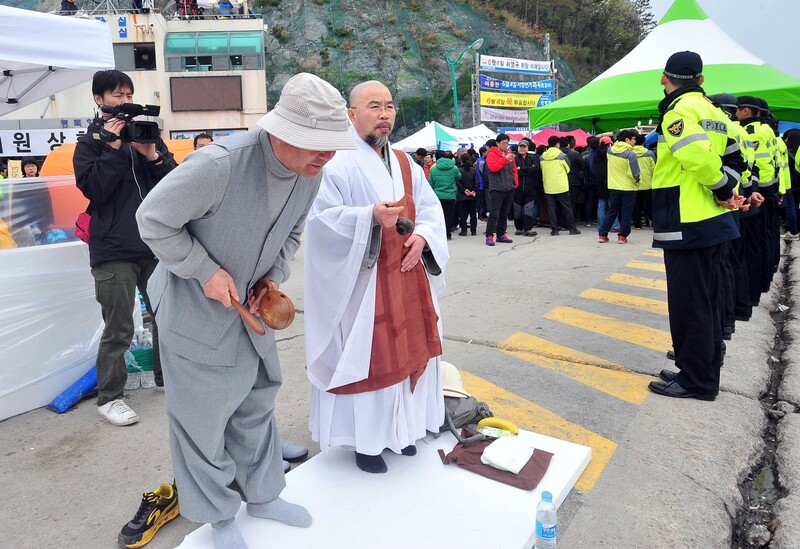 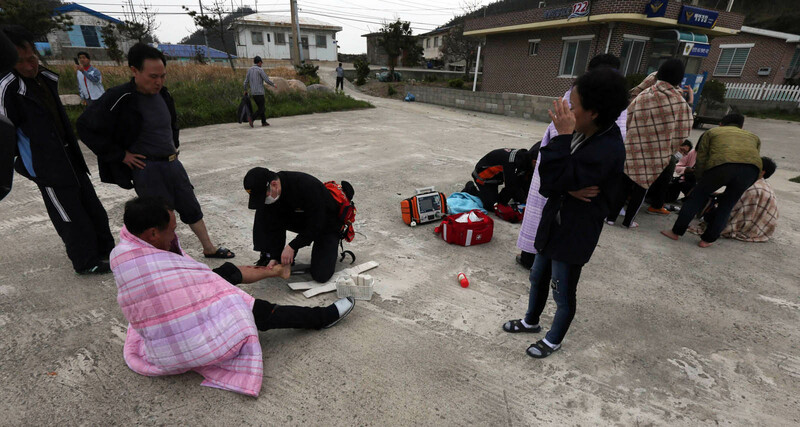 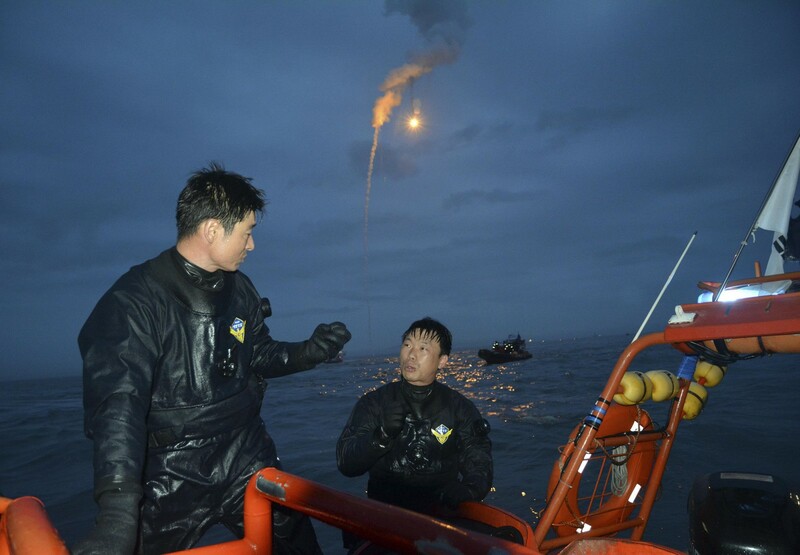 I understand how they would feel to go through such a tragedy, so I volunteered," Kang In-kyoo, a civilian diver at the scene, said. 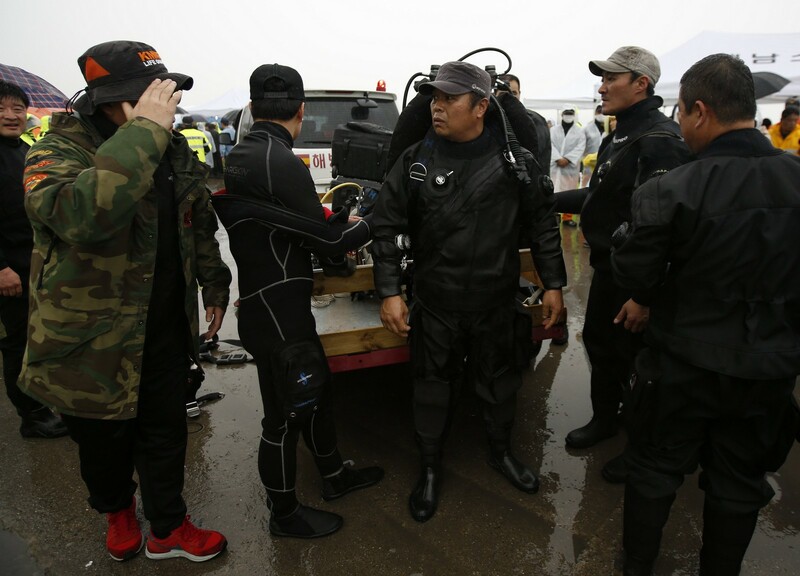 Despite their selfless devotion, the odds are stacked heavily against the divers. 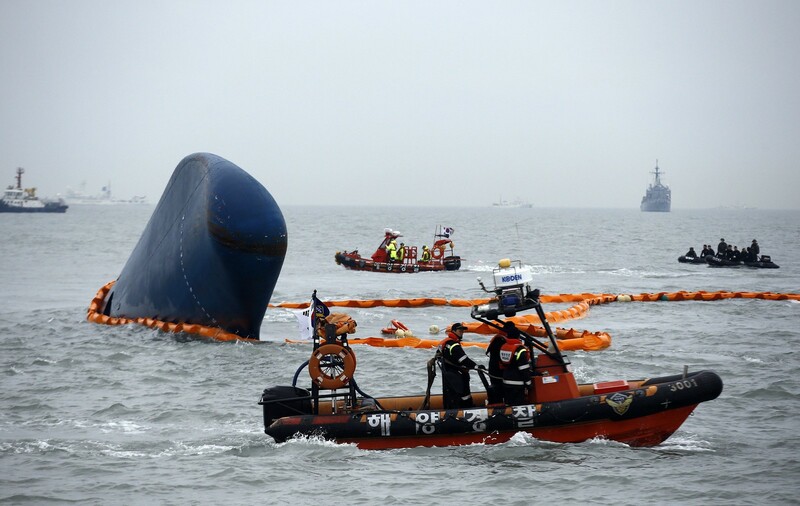 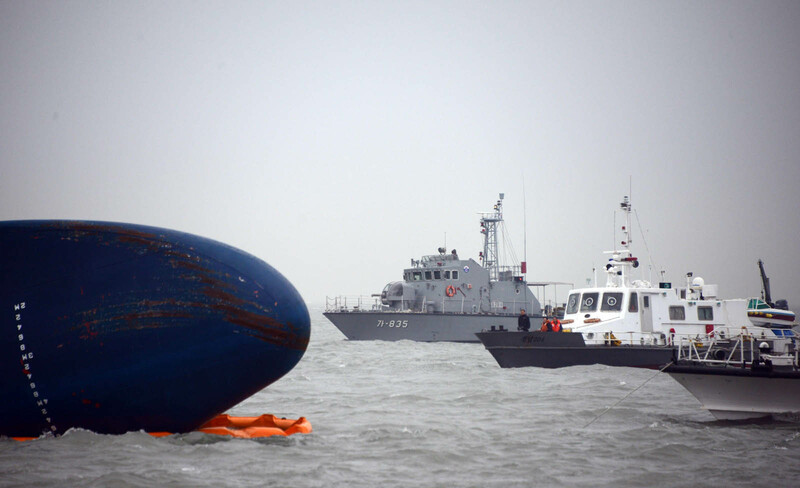 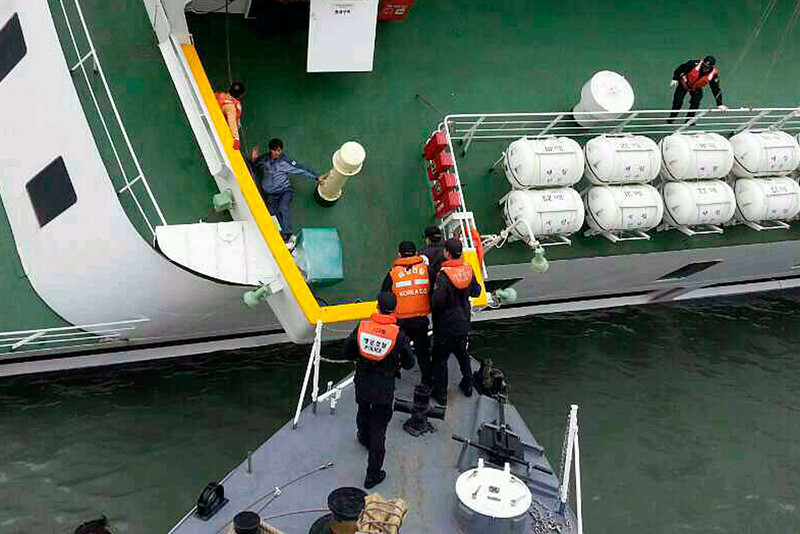 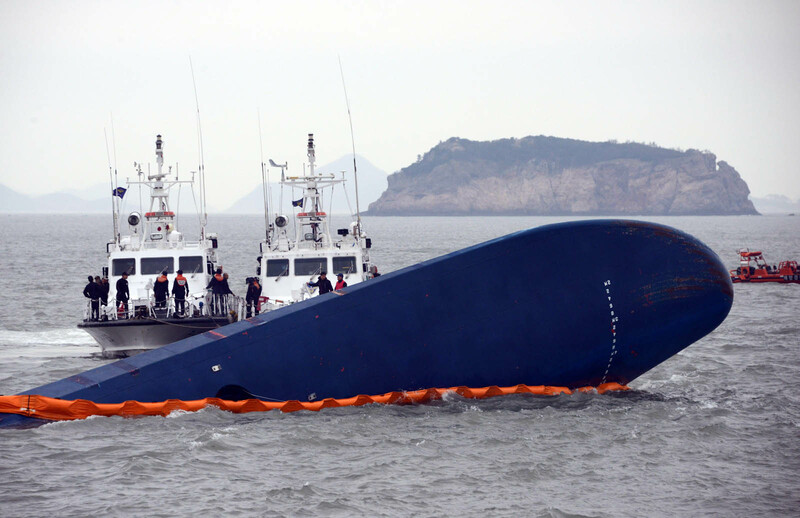 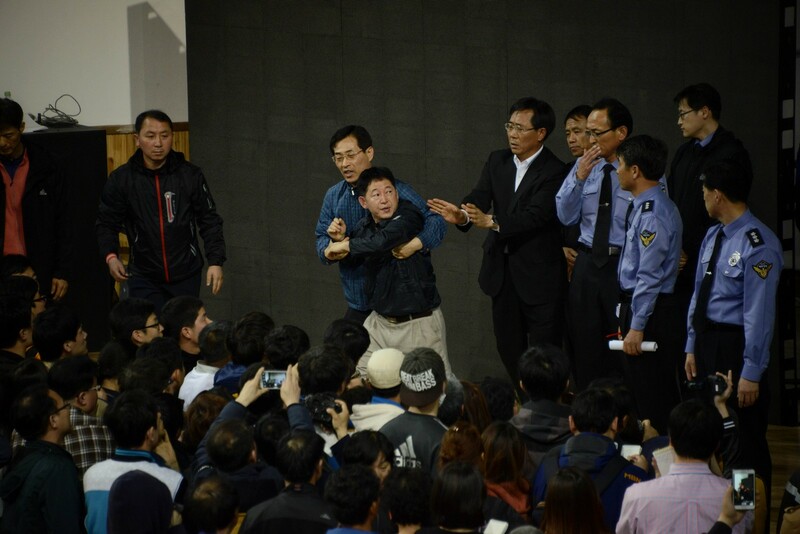 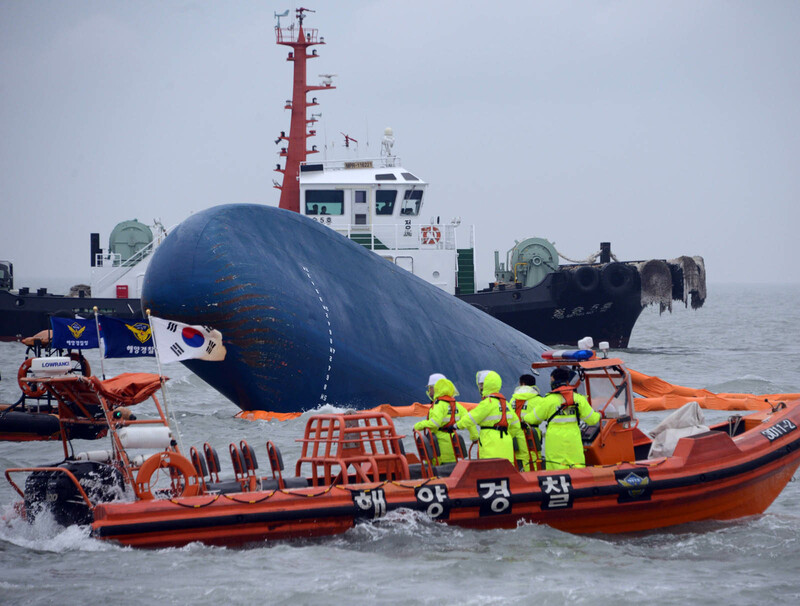 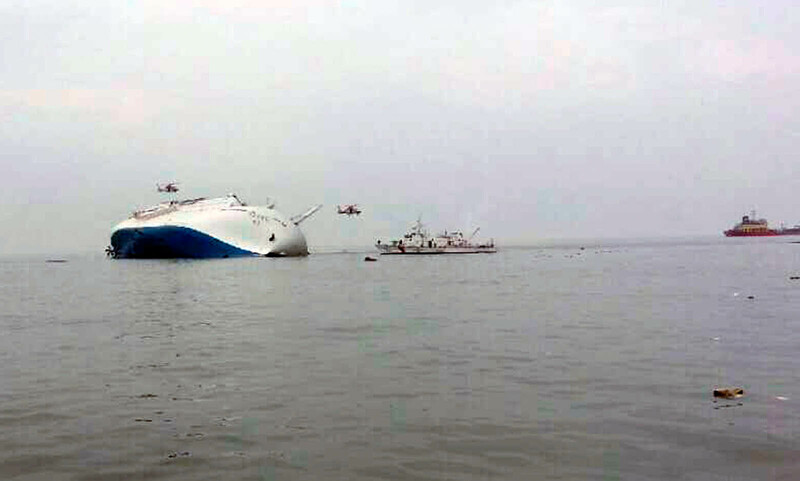 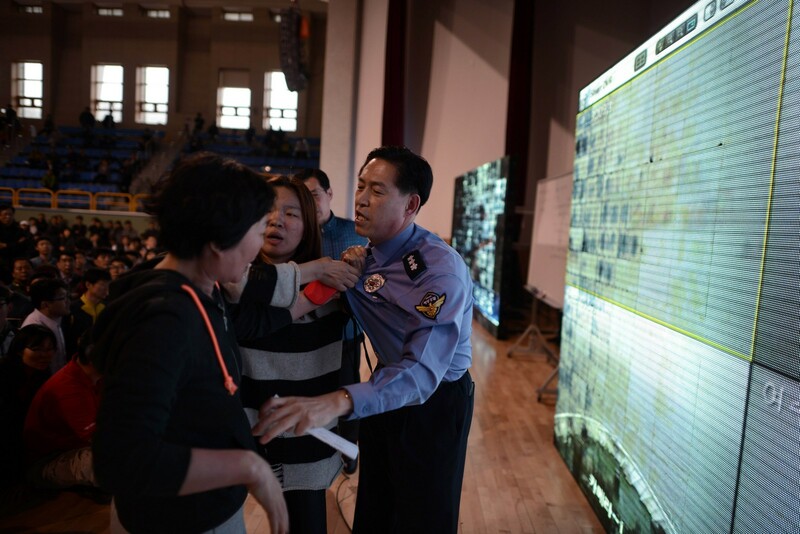 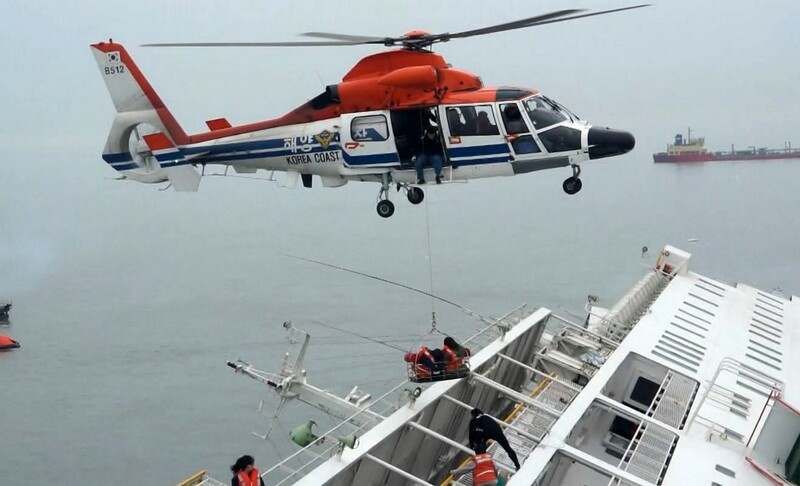 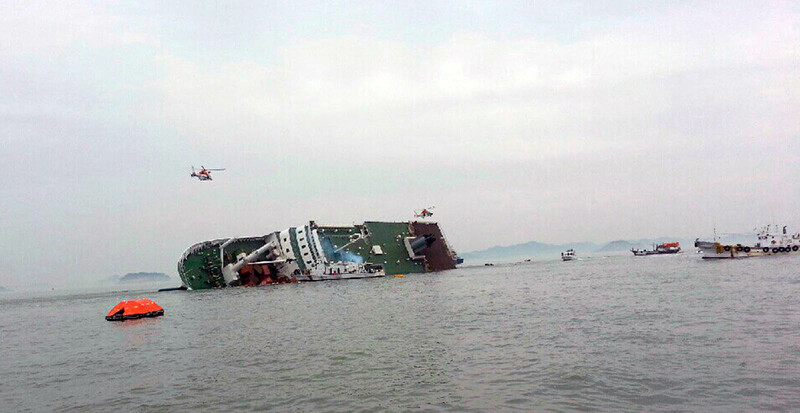 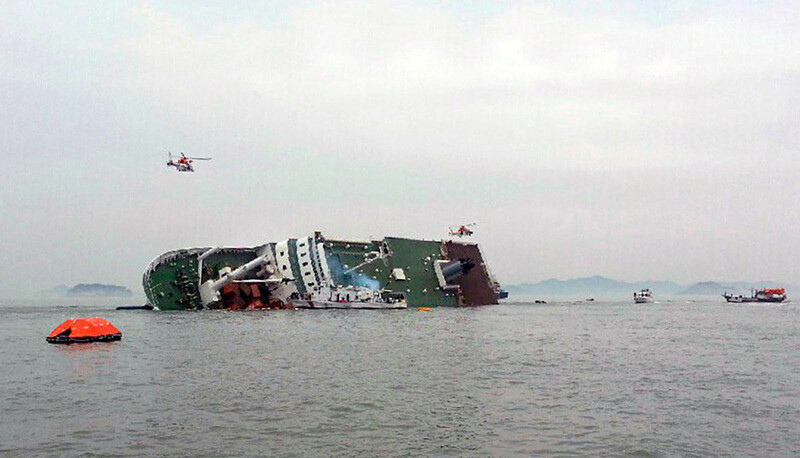 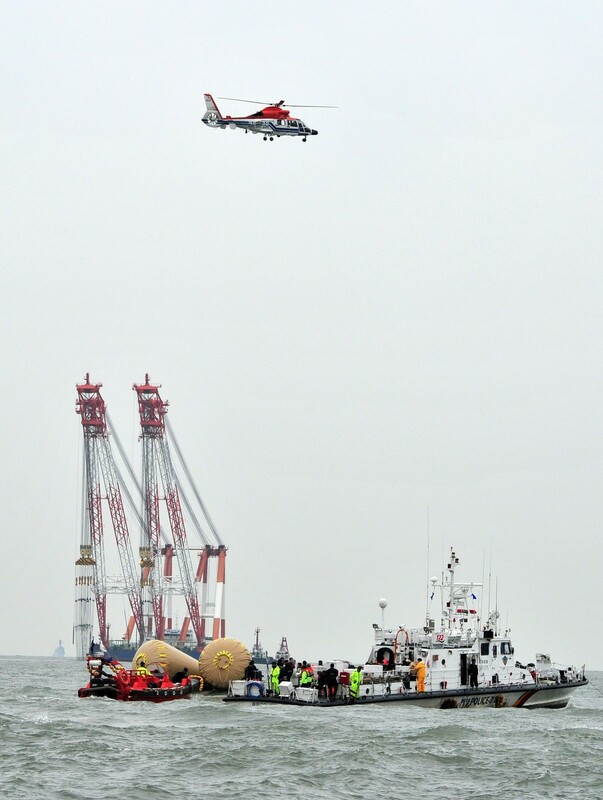 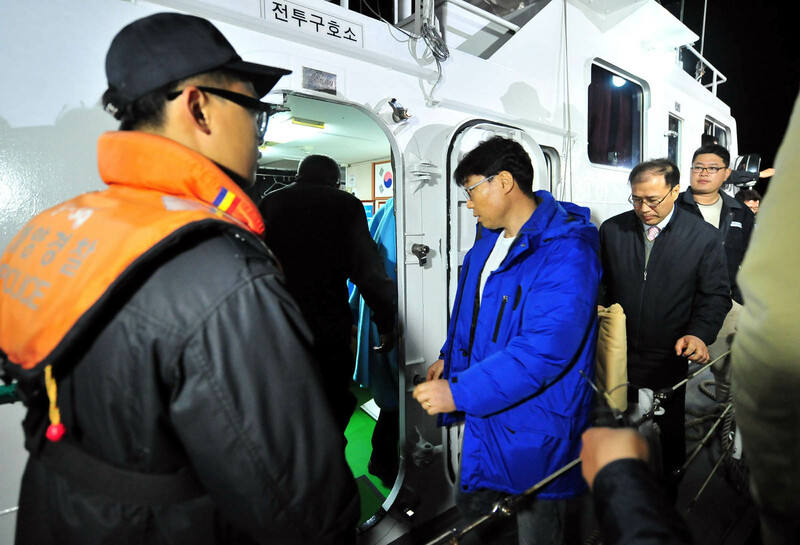 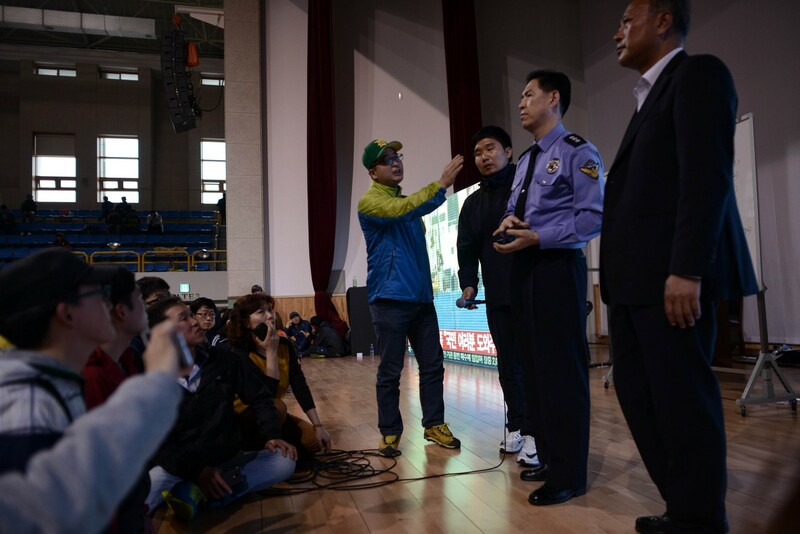 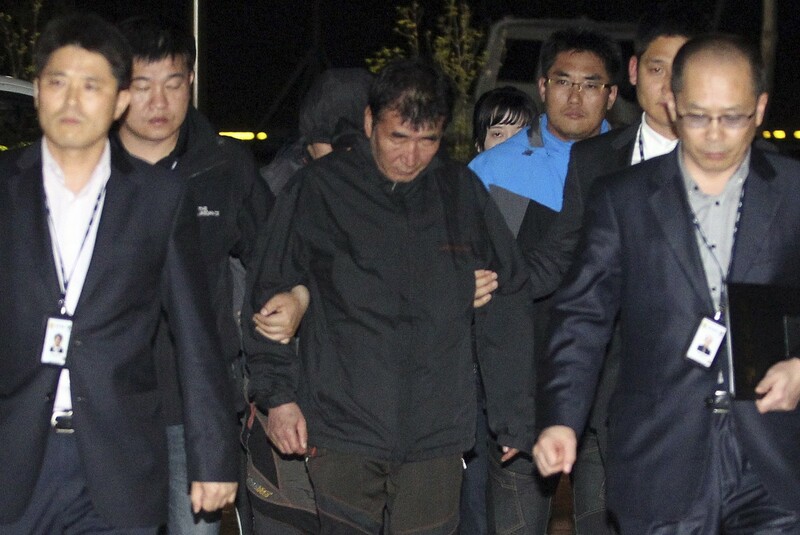 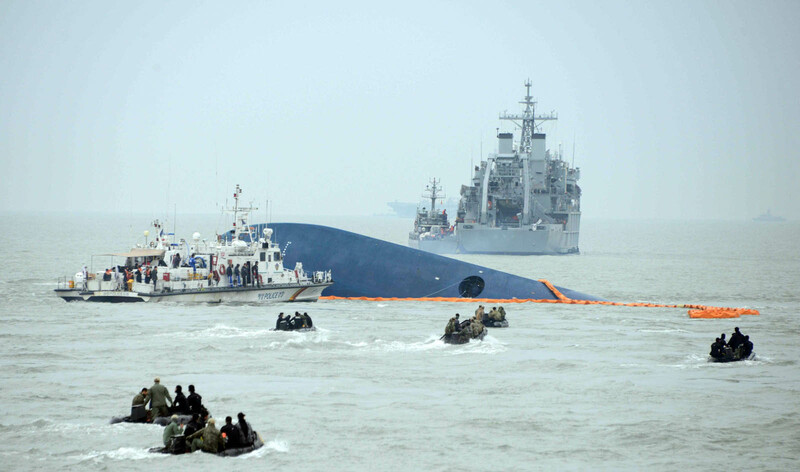 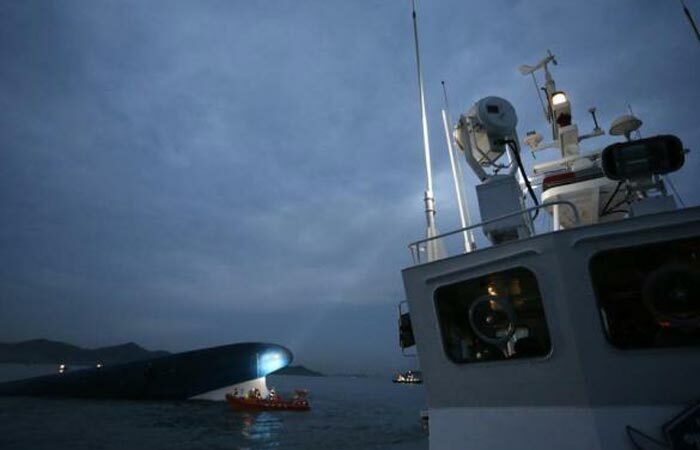 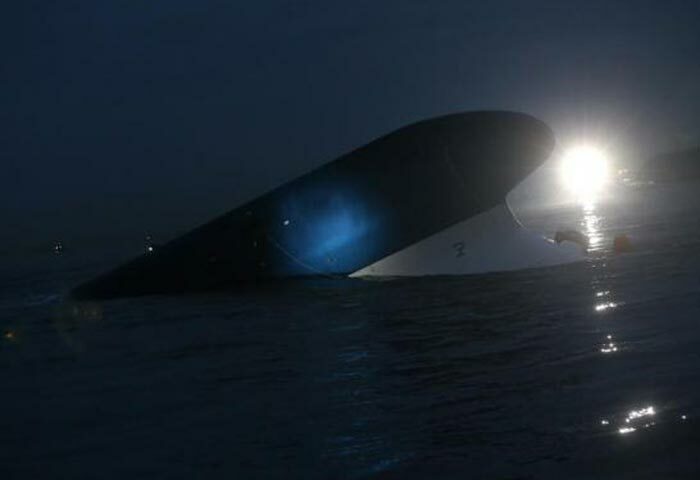 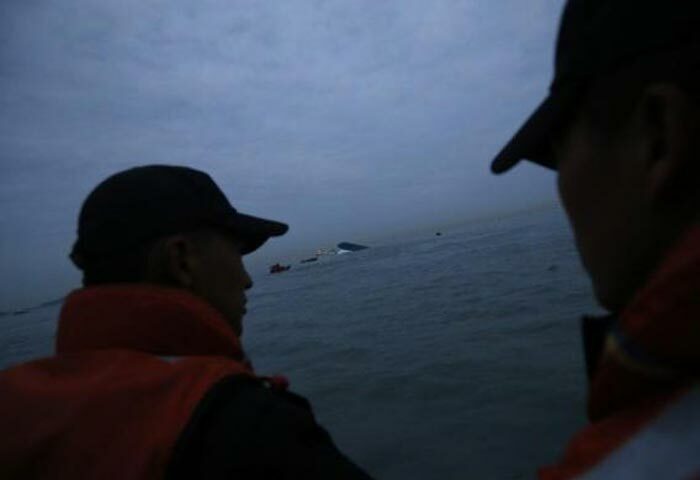 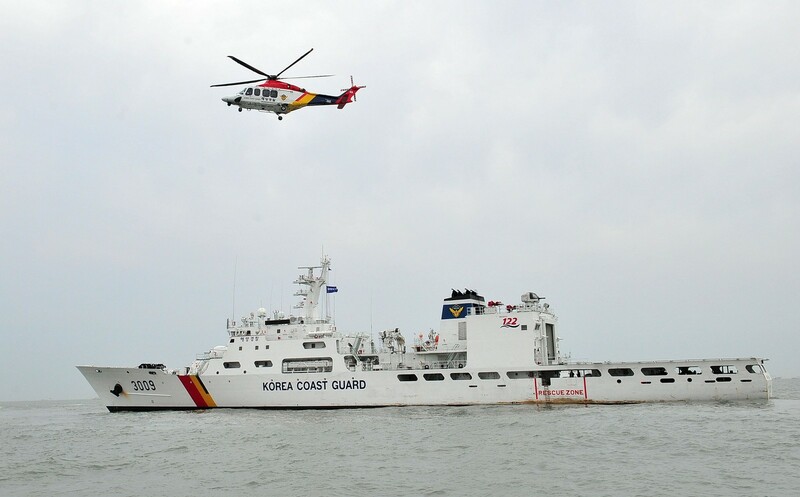 Chung Woon-chae, a former chief marshal of the Ship Salvage Unit, said poor weather conditions, underwater visibility and the vessel's submergence depth are the biggest barriers. 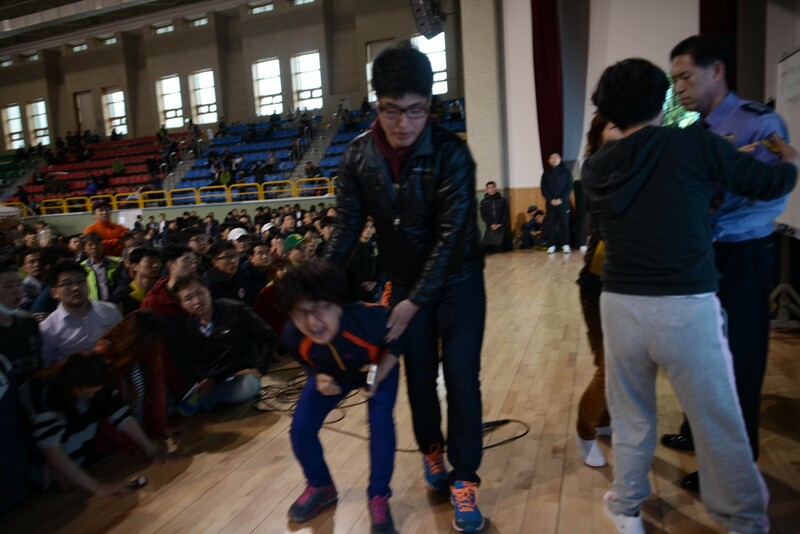 "It's not as easy as it seems. 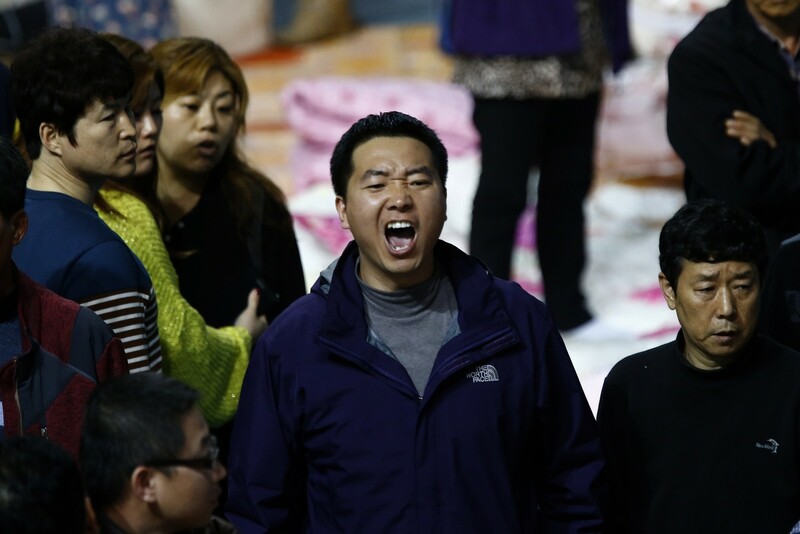 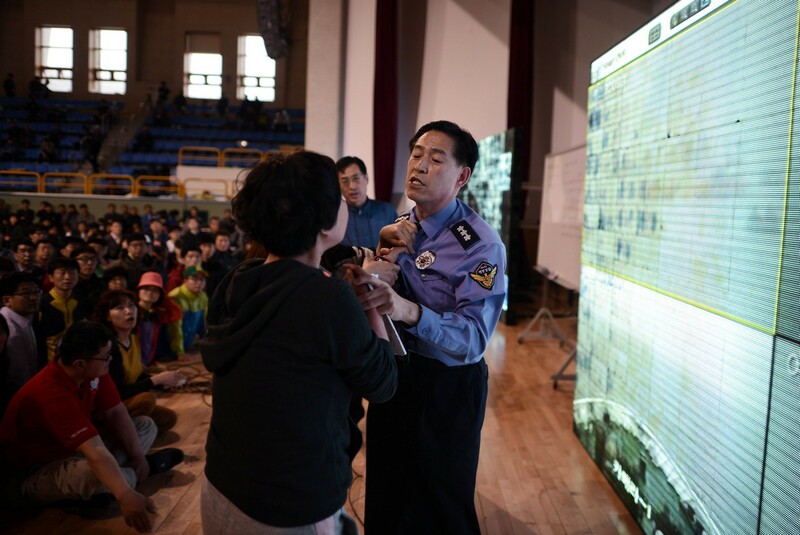 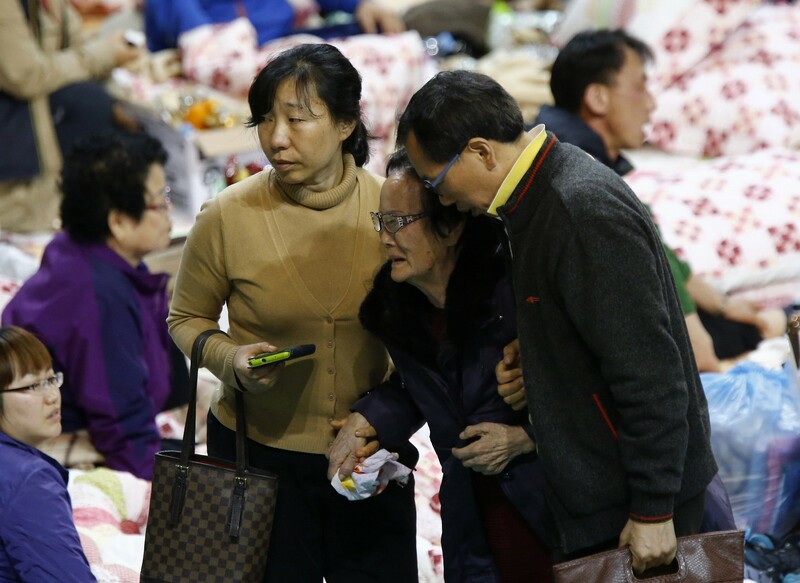 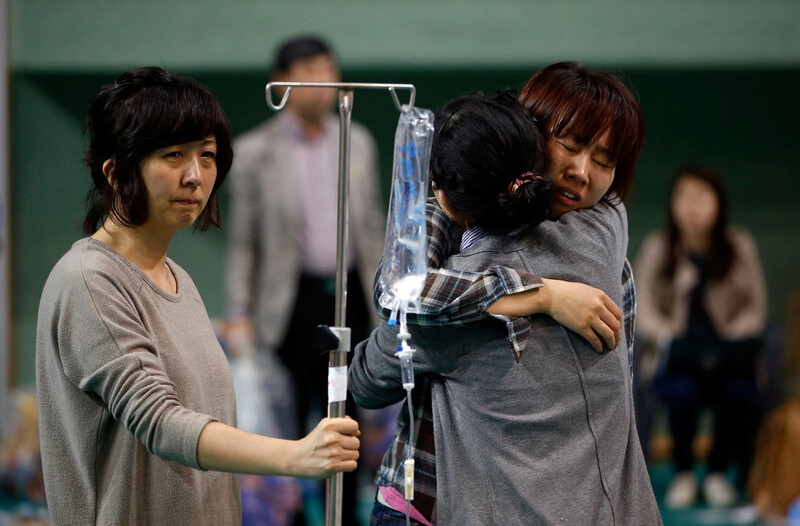 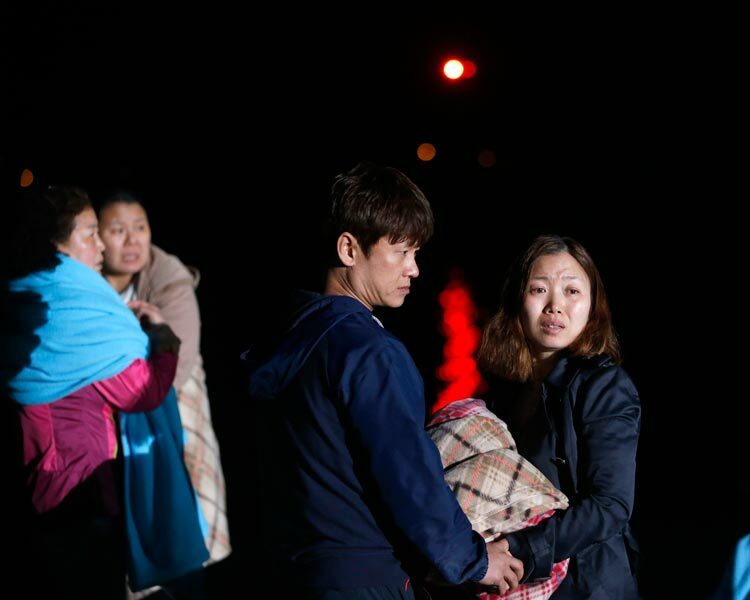 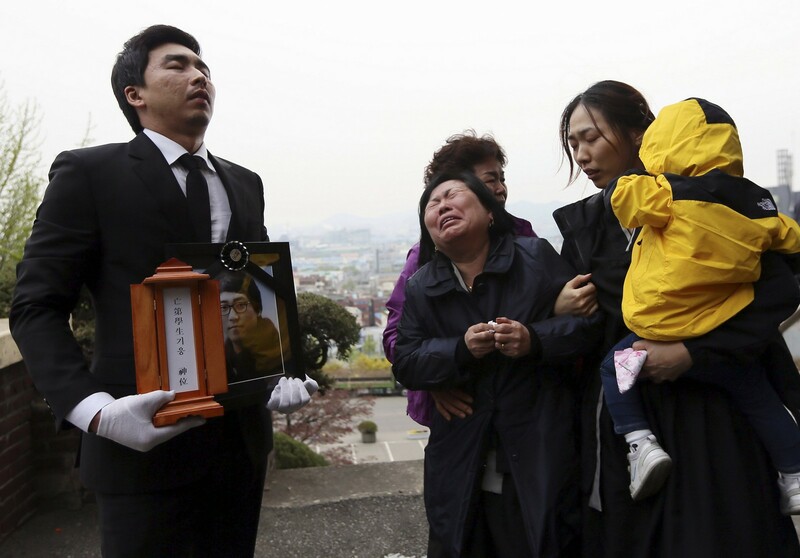 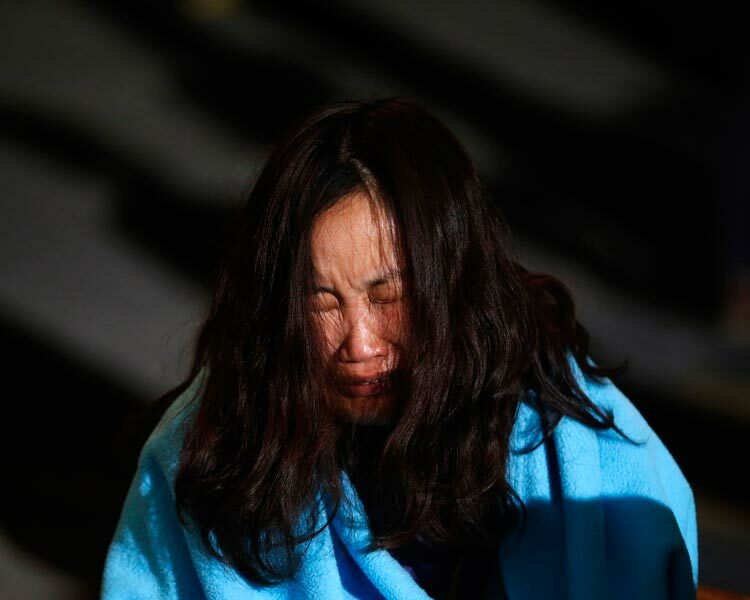 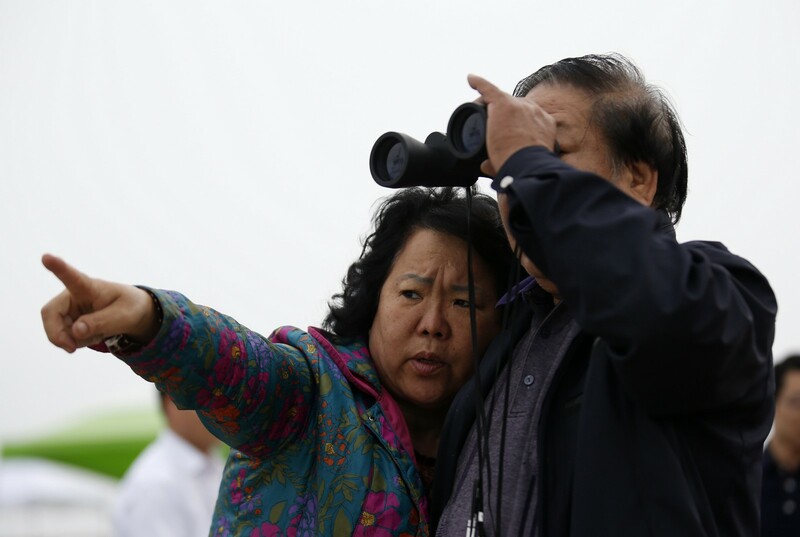 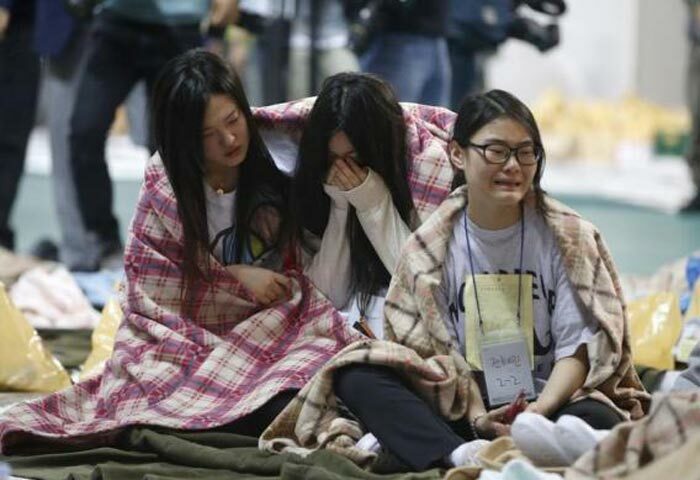 I understand that families of the victims are exhausted by the slow rescue process but I believe they're doing the best they can," Chung said. 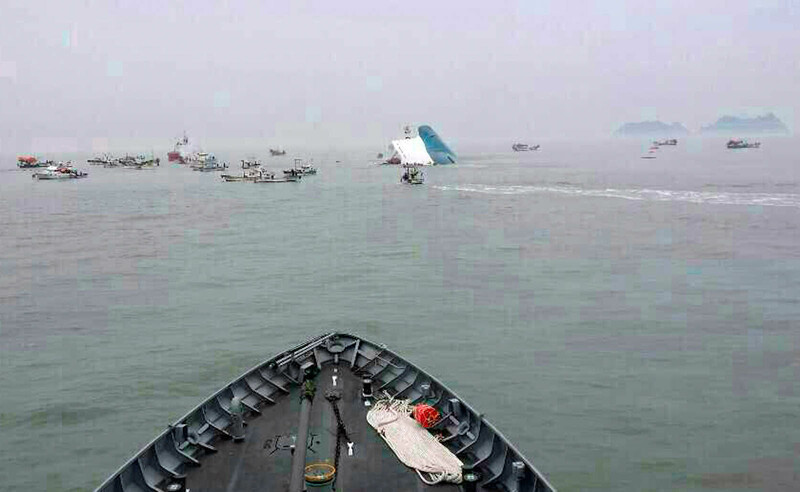 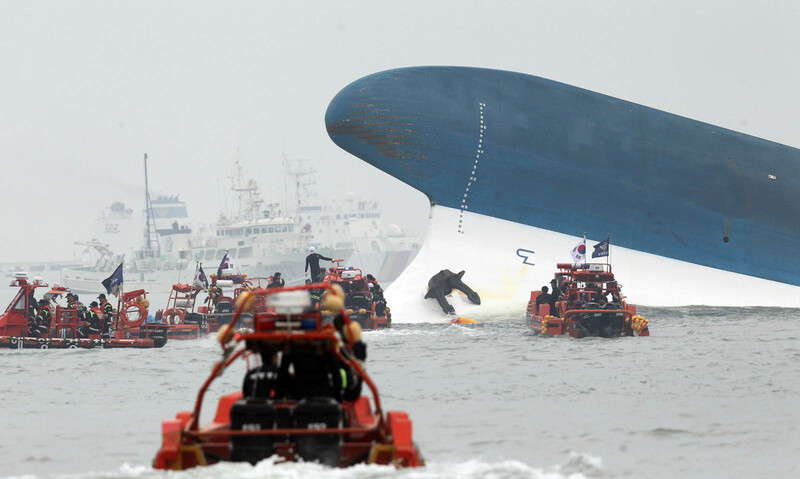 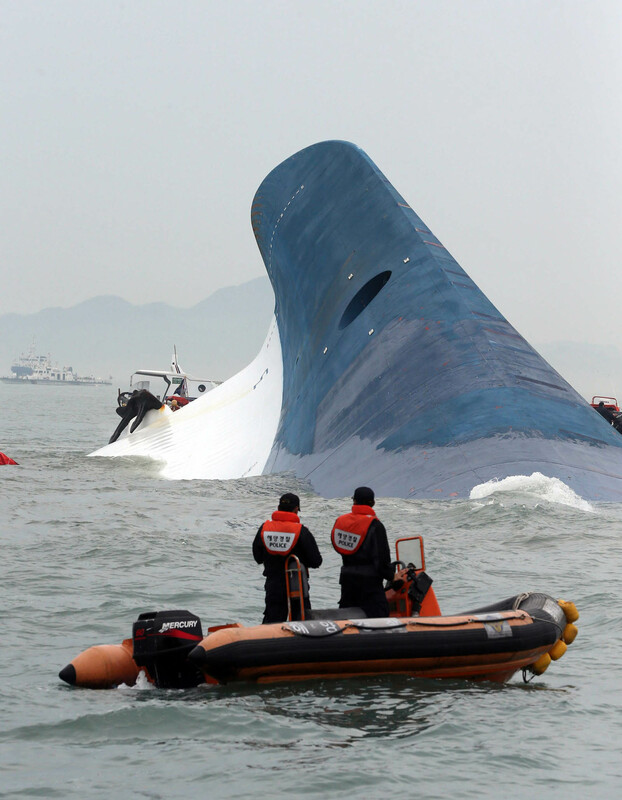 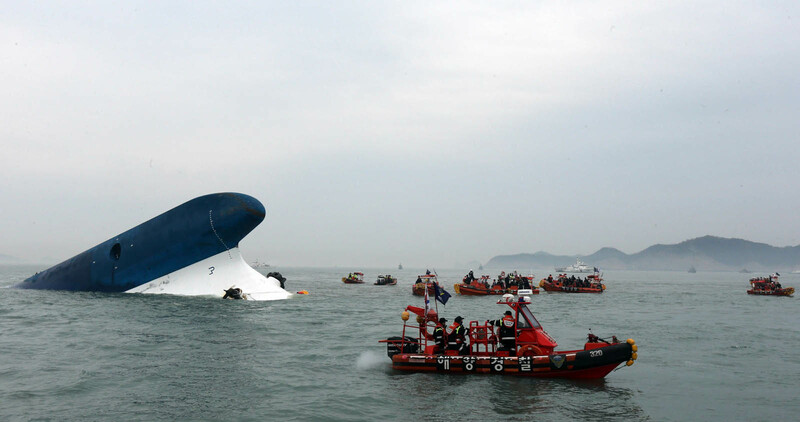 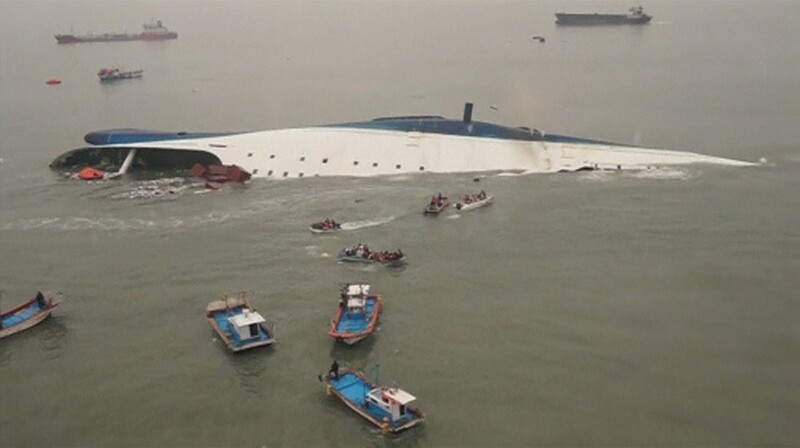 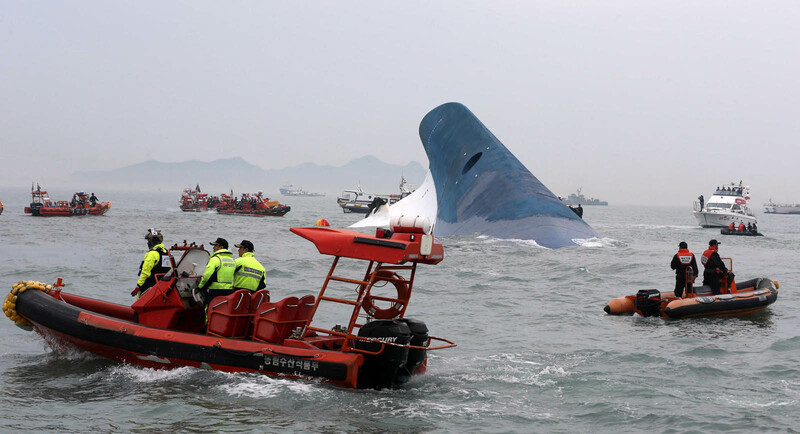 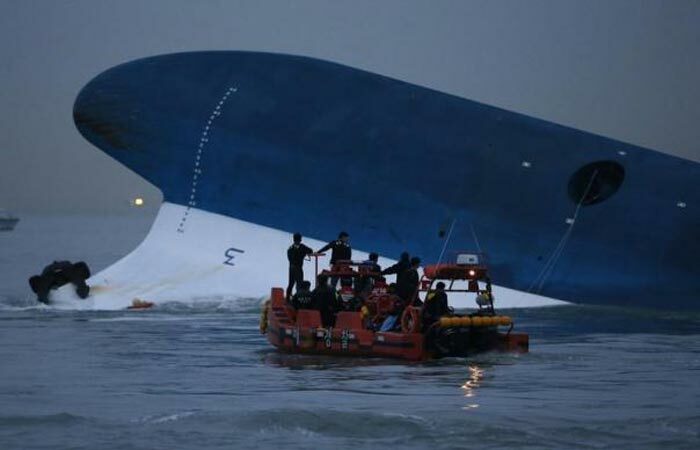 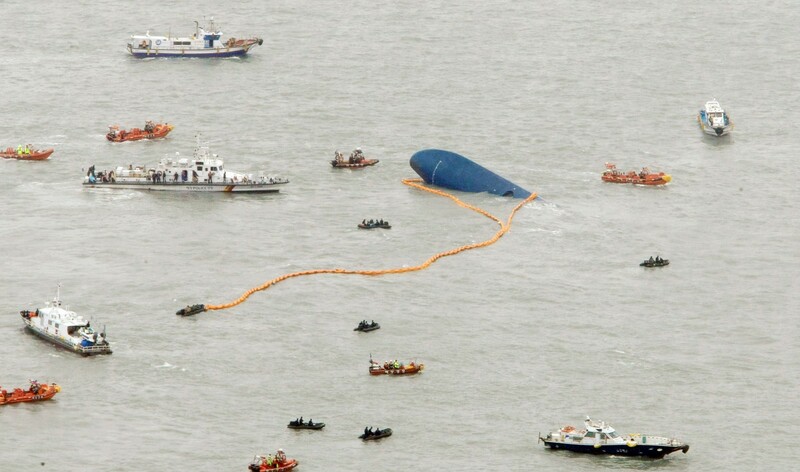 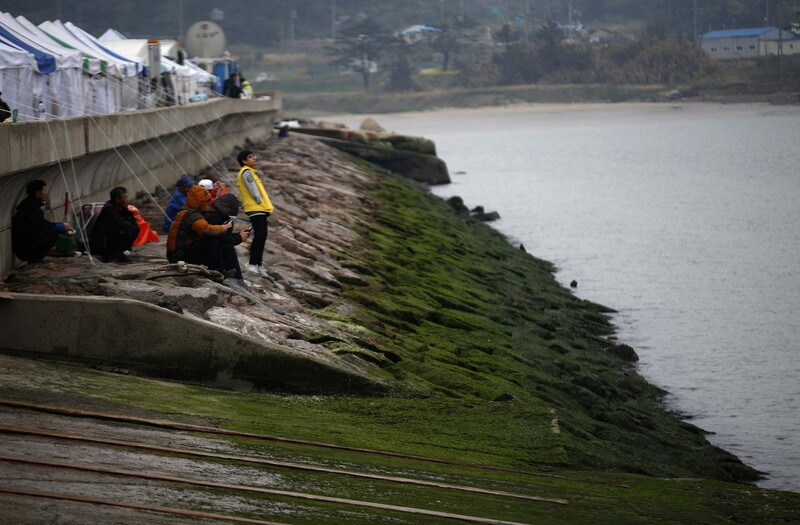 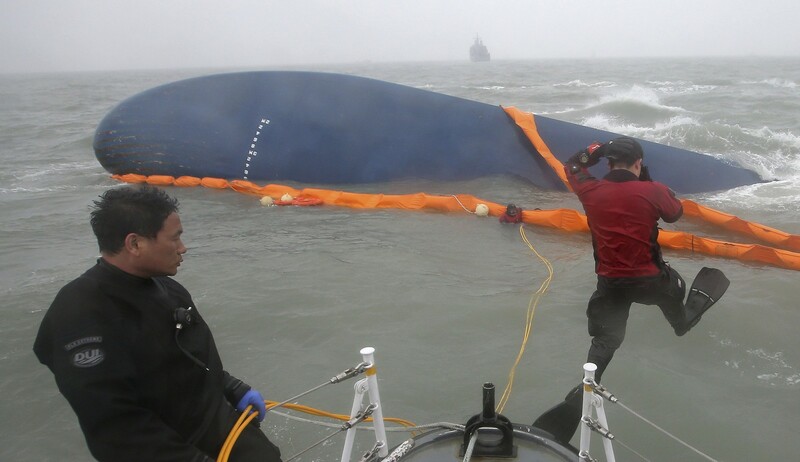 The area where the accident happened is known for its strong currents - the second fastest in Korea's coastal waters - and 58 accidents have occurred there since 2002. 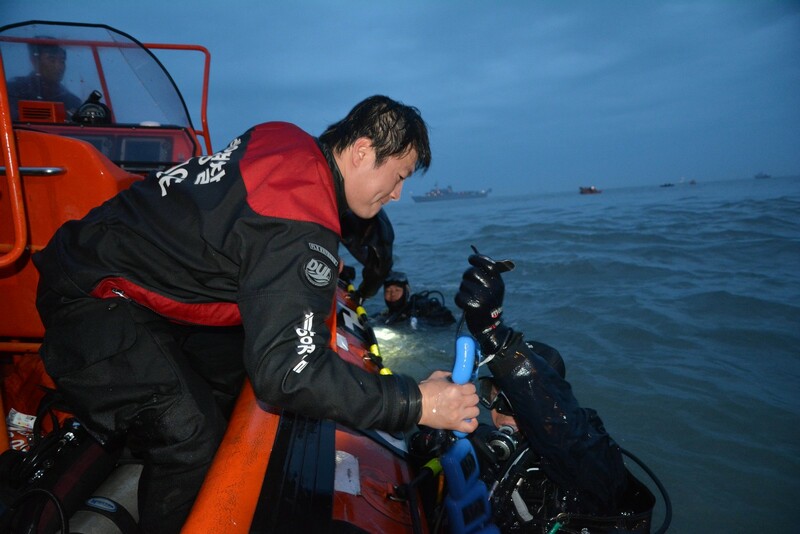 The sea current sometimes runs as fast as 11 kilometres per hour, about two times the level deemed safe by divers. 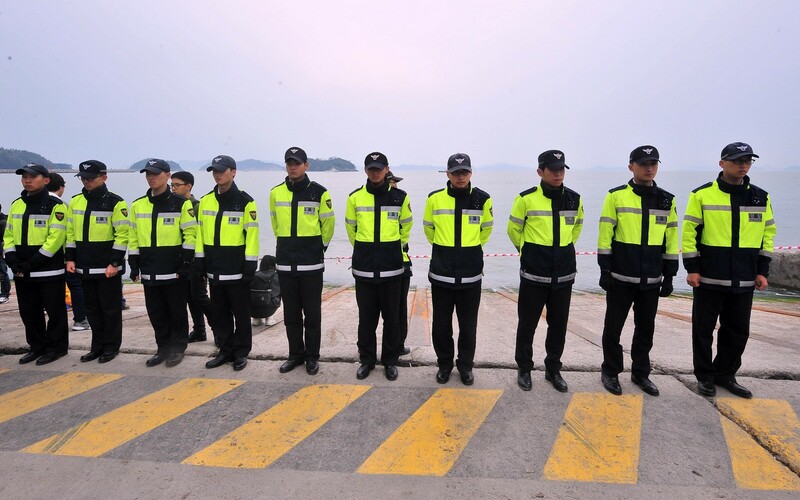 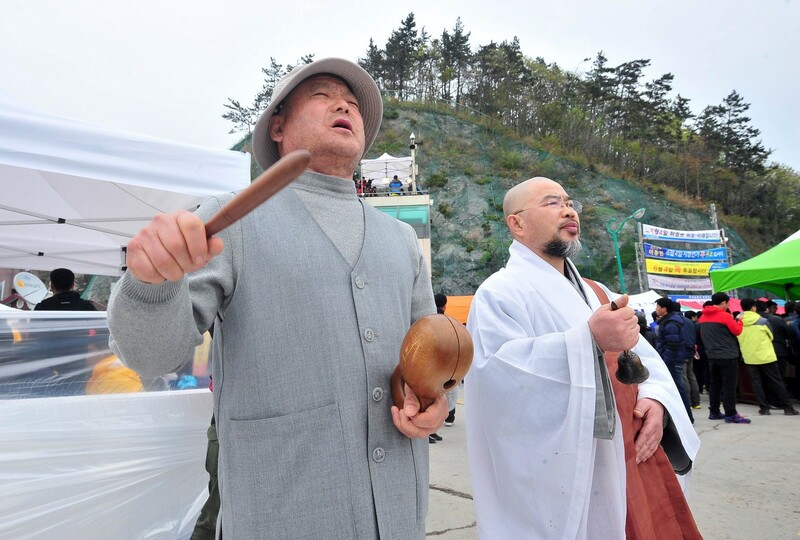 "Even the military vessels avoid going to the area," Shin Hang-sub, a former captain of a patrol ship, said in an interview with local news station. 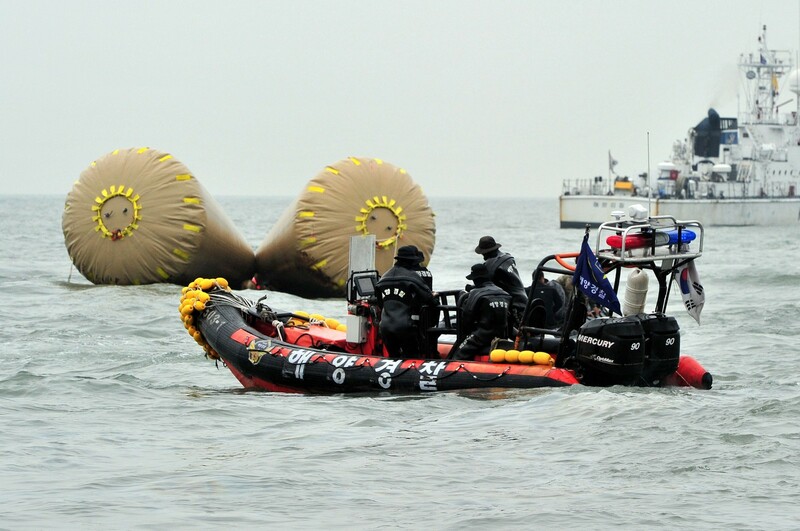 Adding to the difficulty, there are also obstacles with low underwater visibility. 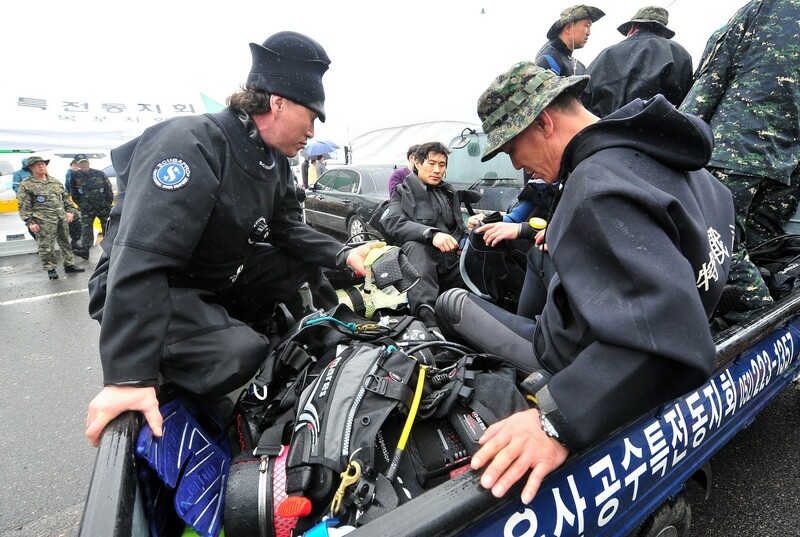 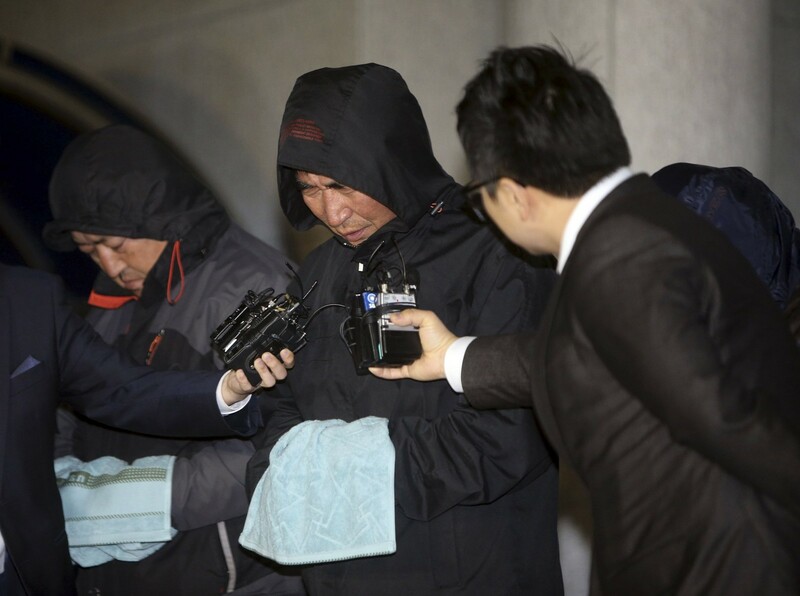 After multiple attempts to break into the ship, South Korean divers described the situation below as a labyrinth, saying it is difficult "to see your own hand" in front of your face. 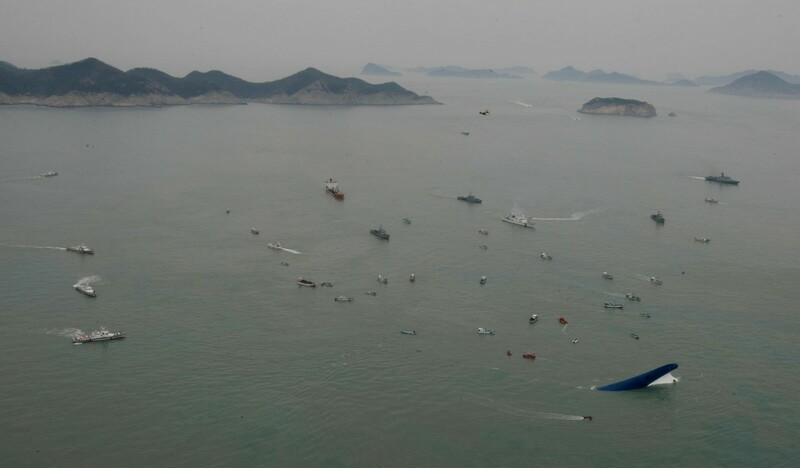 Poor visibility also means that the rescuers could get hit by objects moving in the water, such as vending machines and utensils. 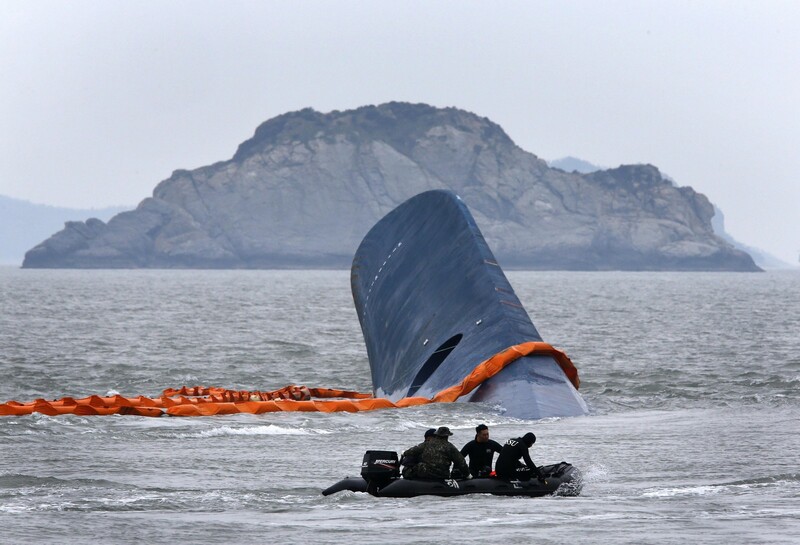 Another major obstacle is the depth of the submerged vessel. 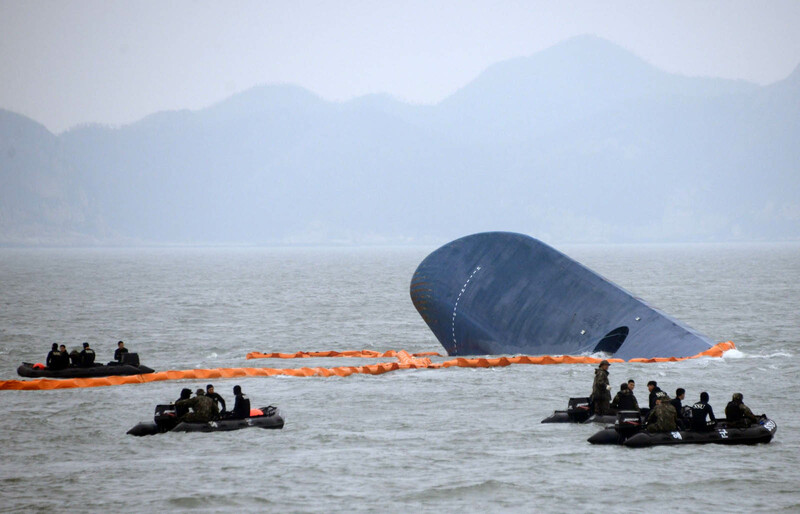 At Friday noon, the ship sank completely out of sight. 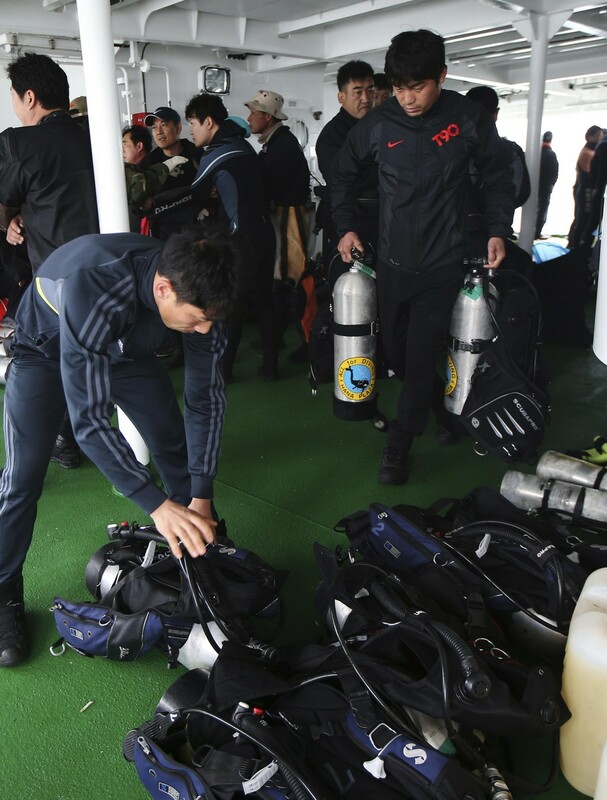 The ship is believed to reach depth of about 37 meters at its deepest, only three meters higher than the dangerous level of 40 meters. 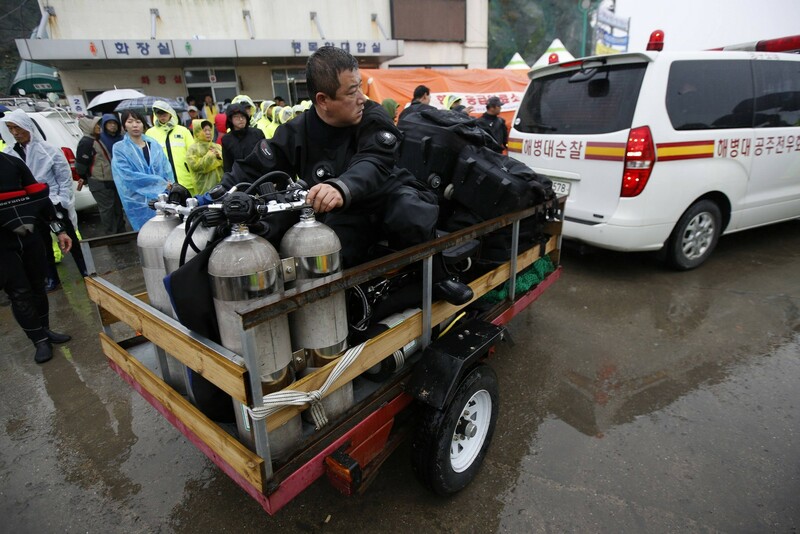 "It's a daunting task even for veteran divers to go 37 meters below the water. 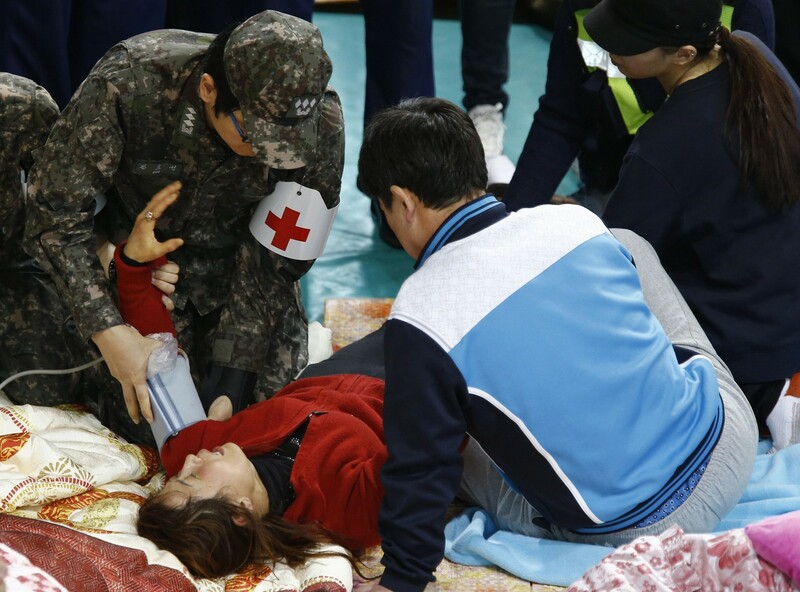 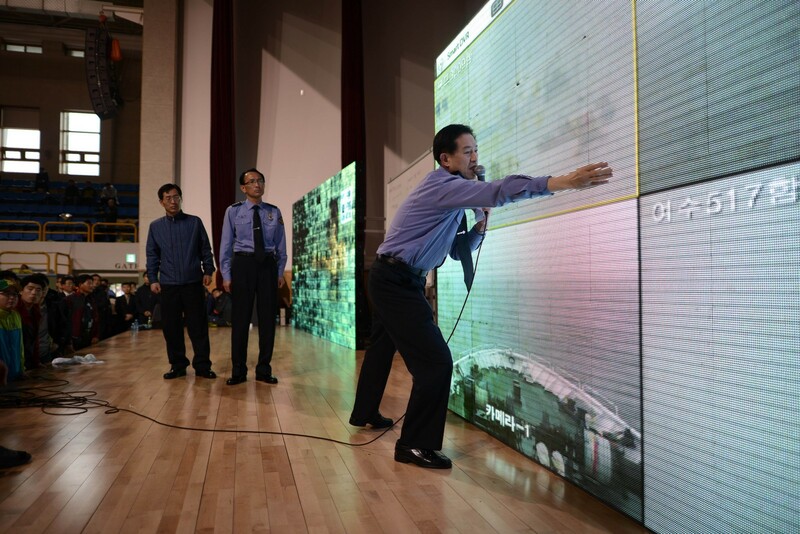 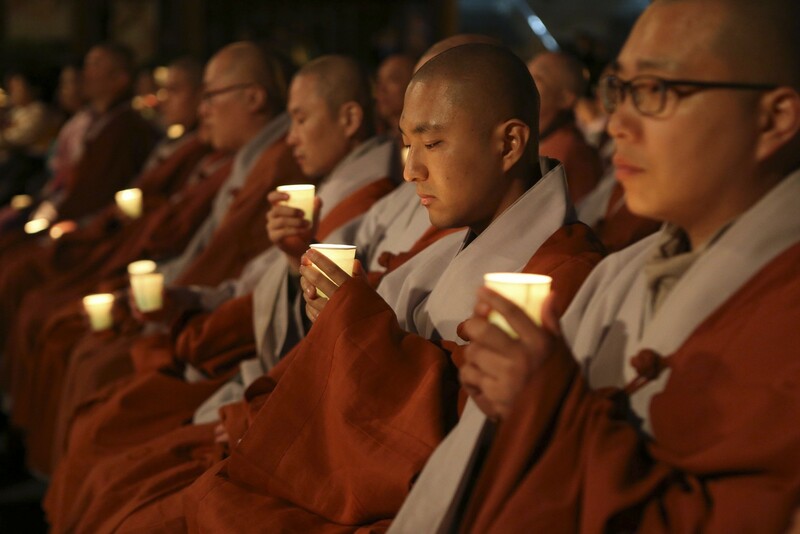 For veterans, the maximum duration of operation is 90 minutes," Chung said. 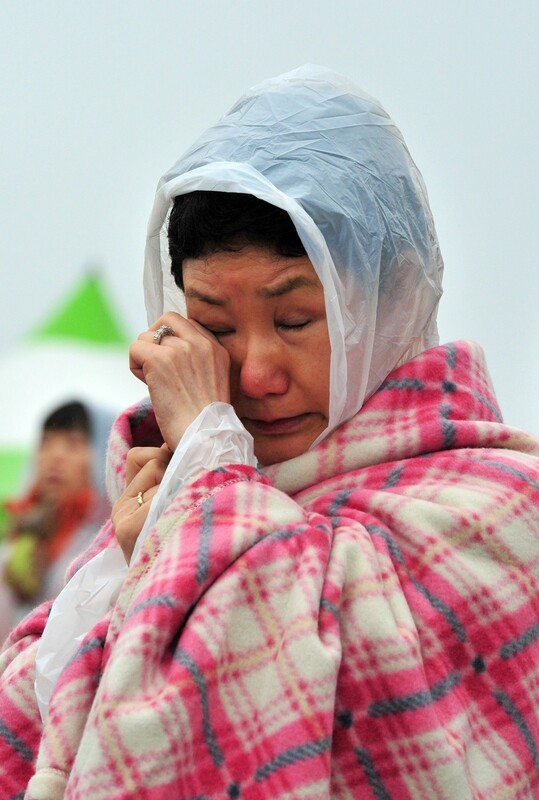 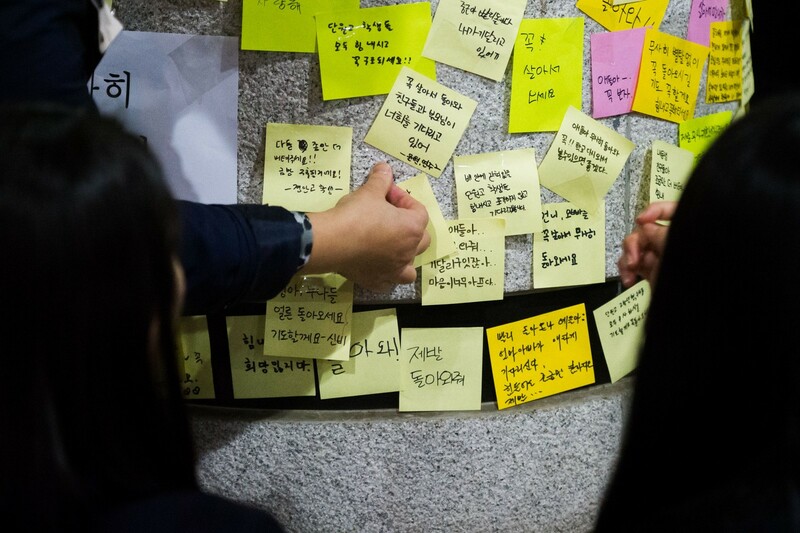 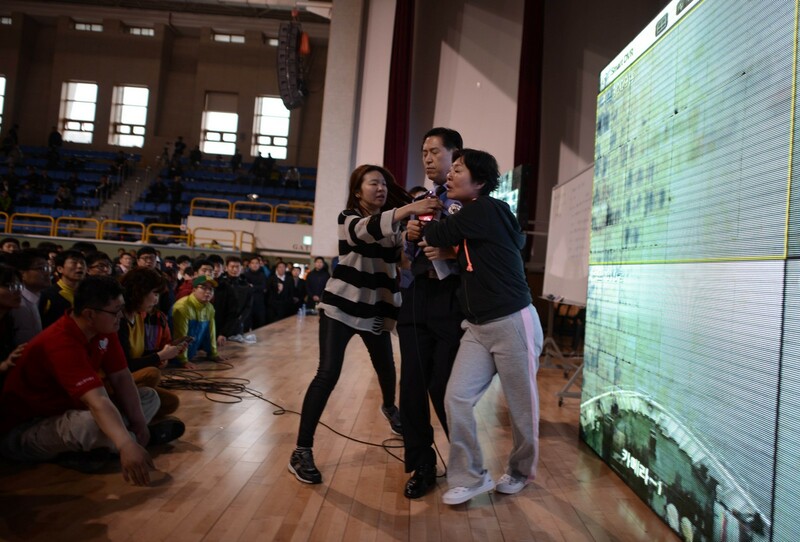 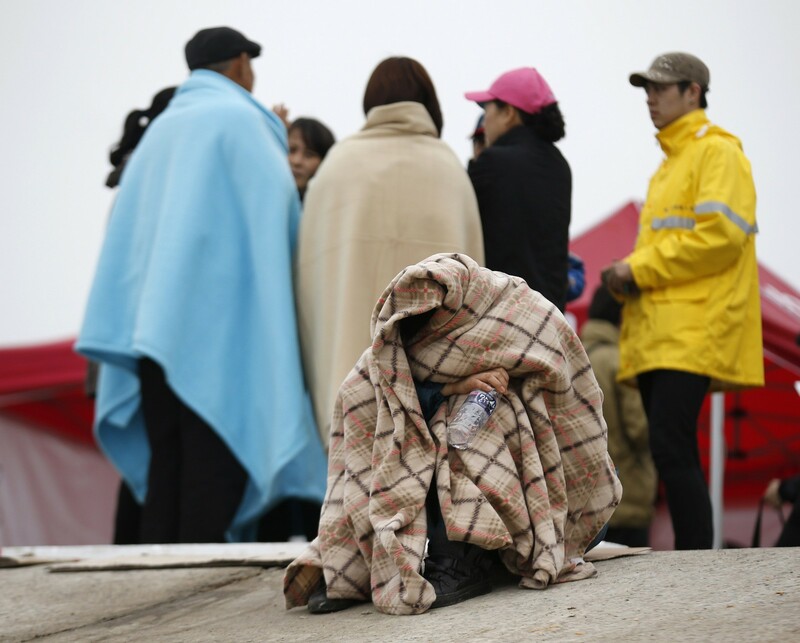 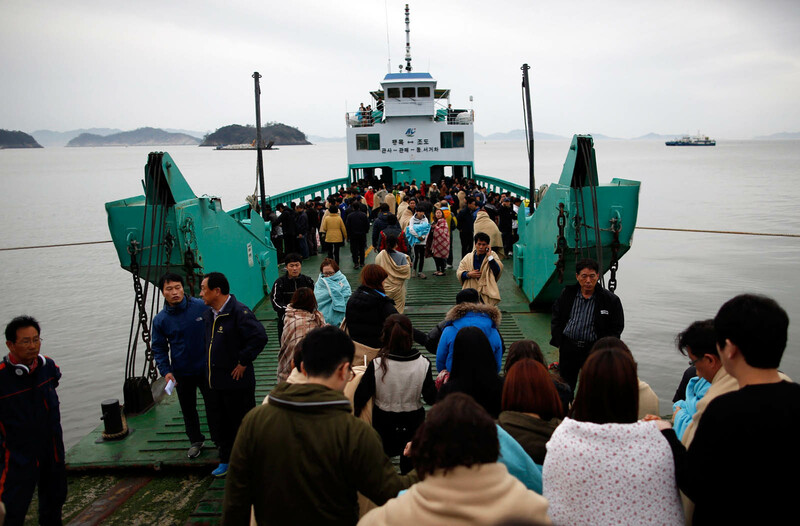 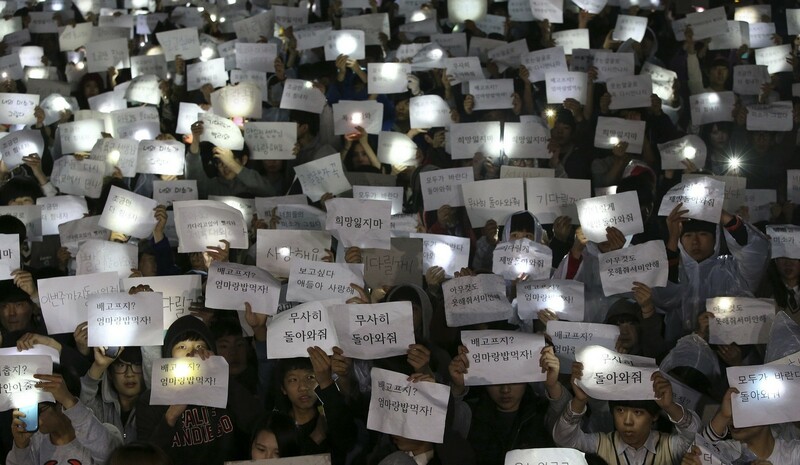 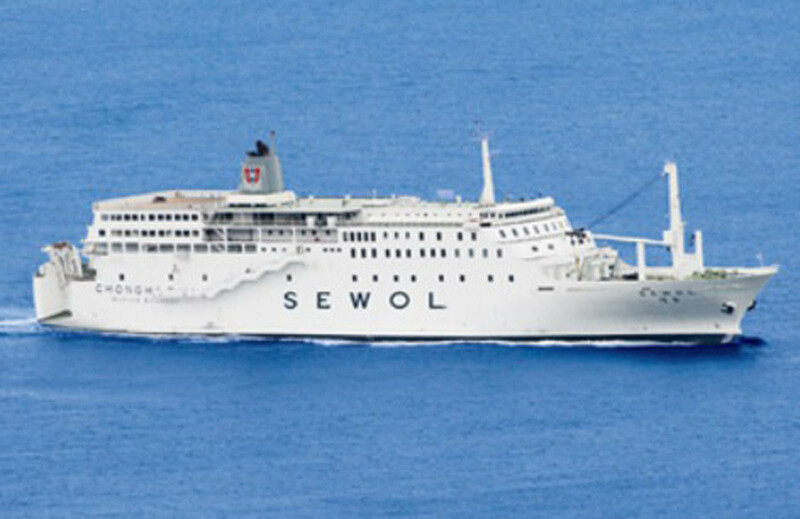 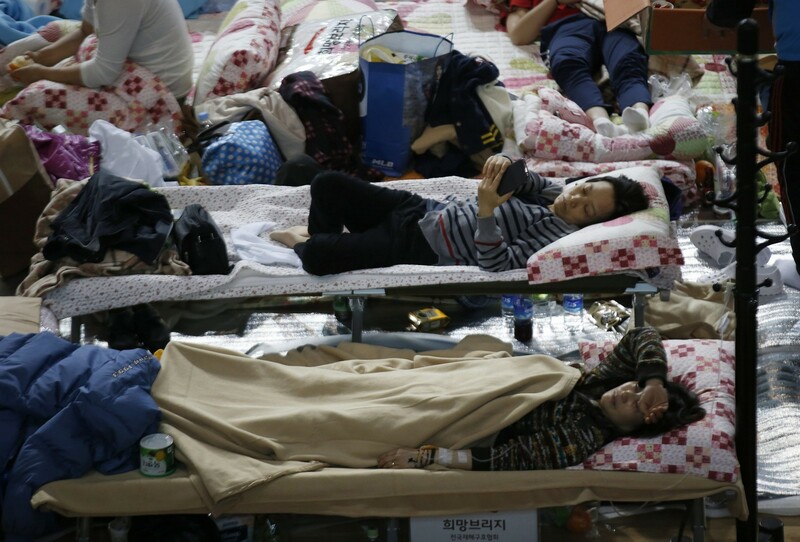 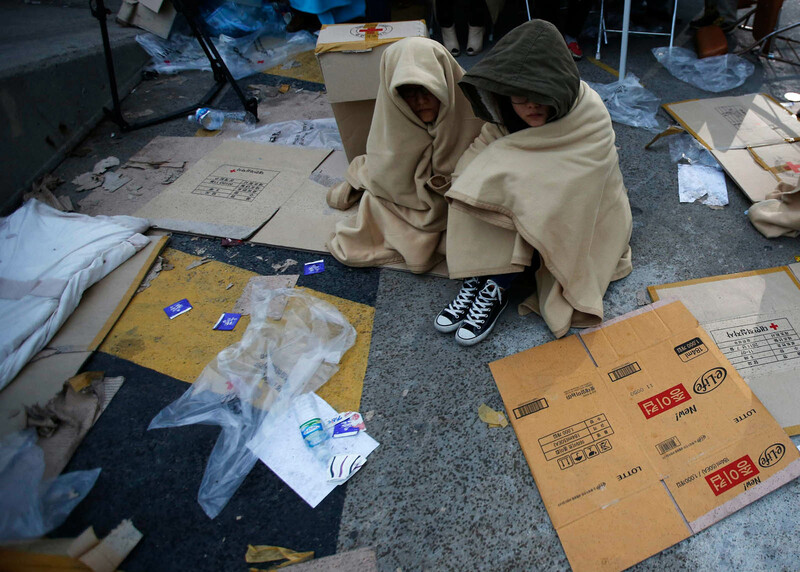 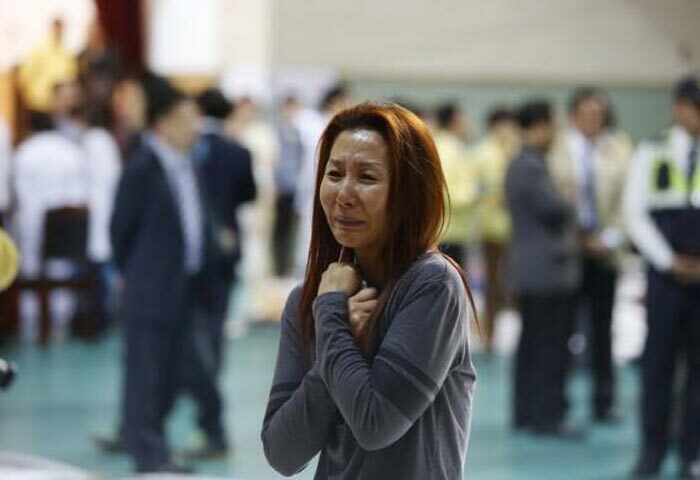 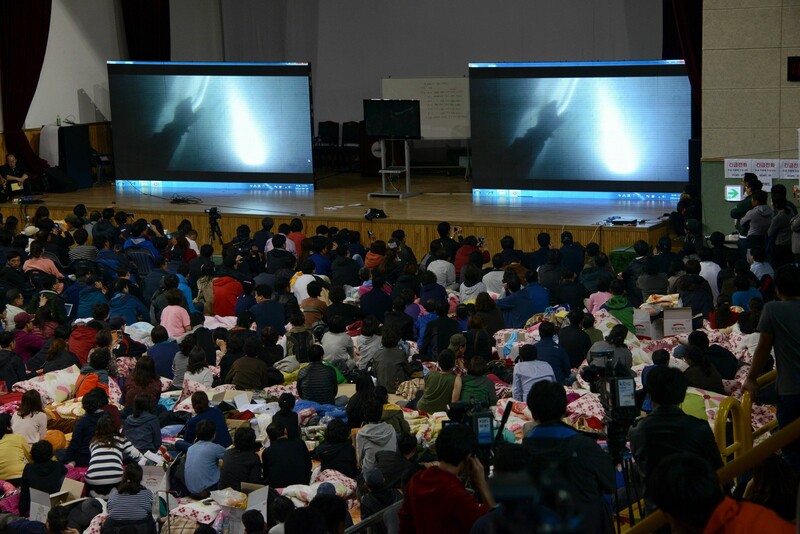 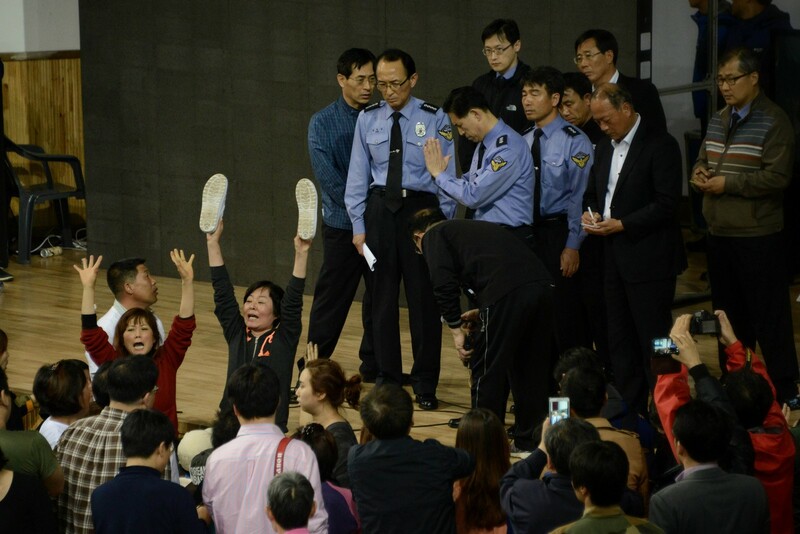 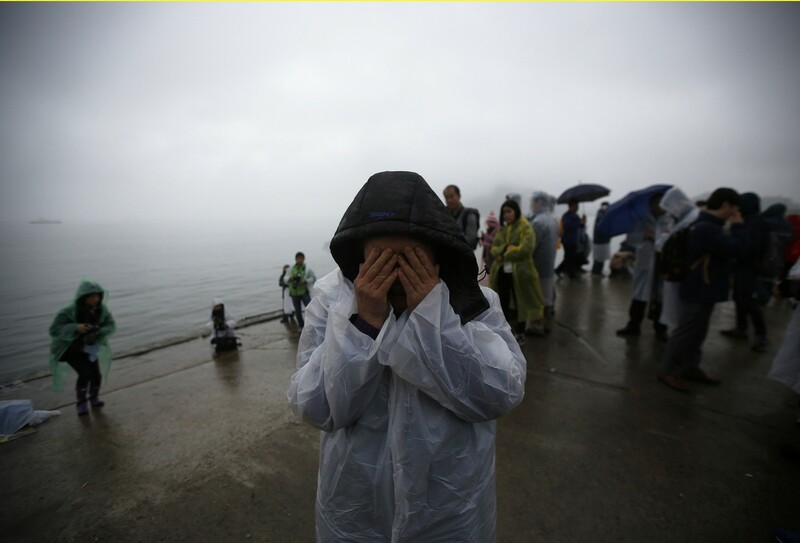 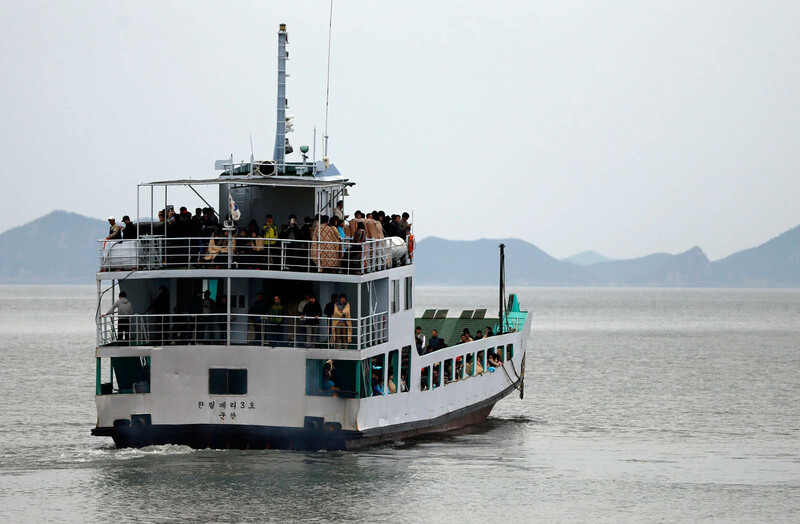 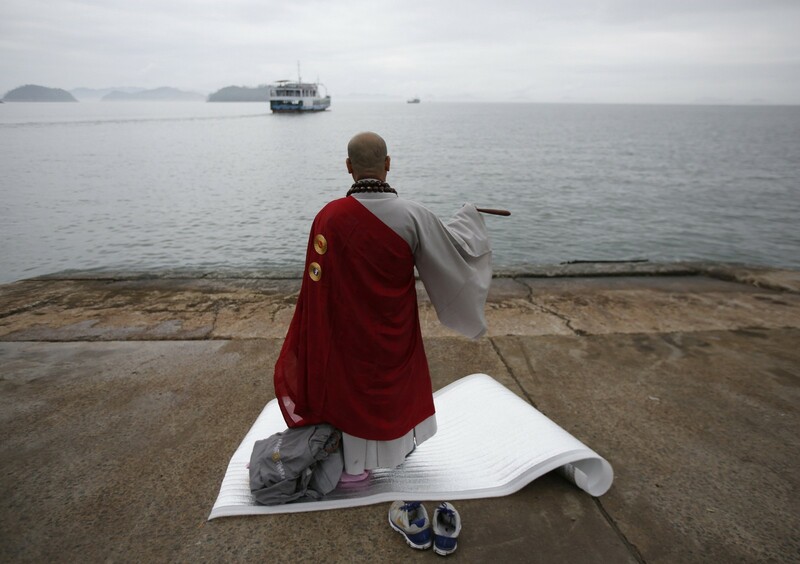 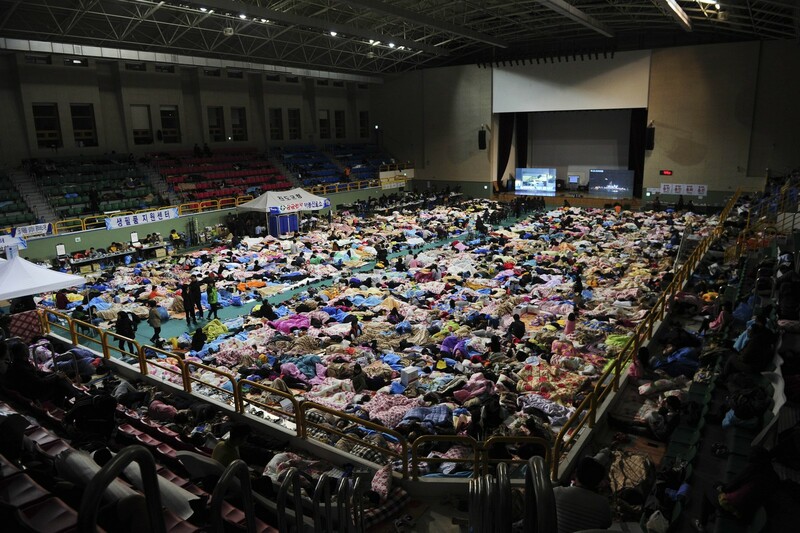 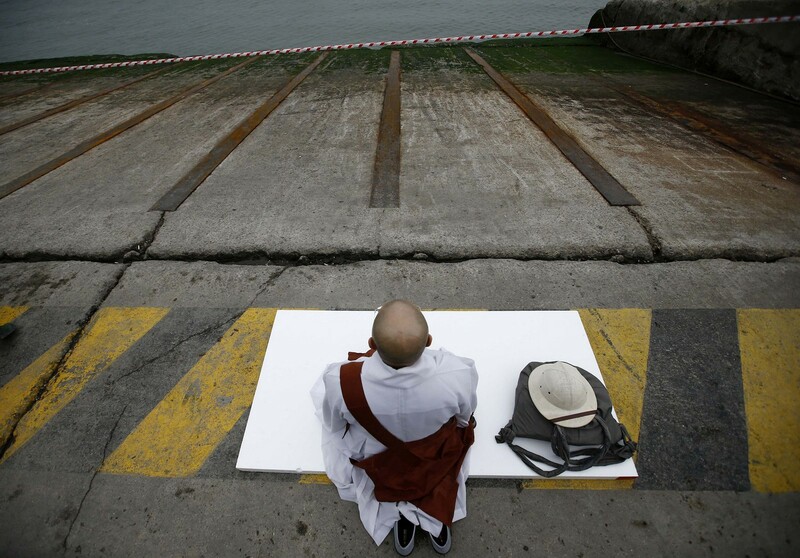 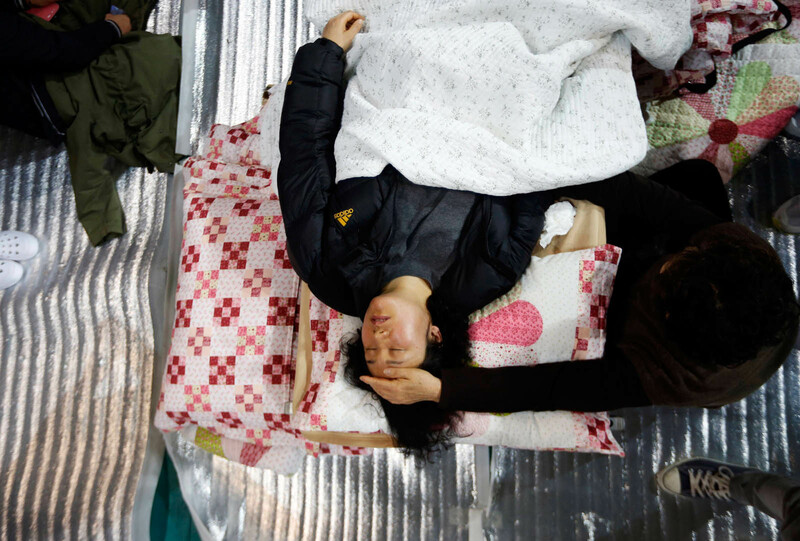 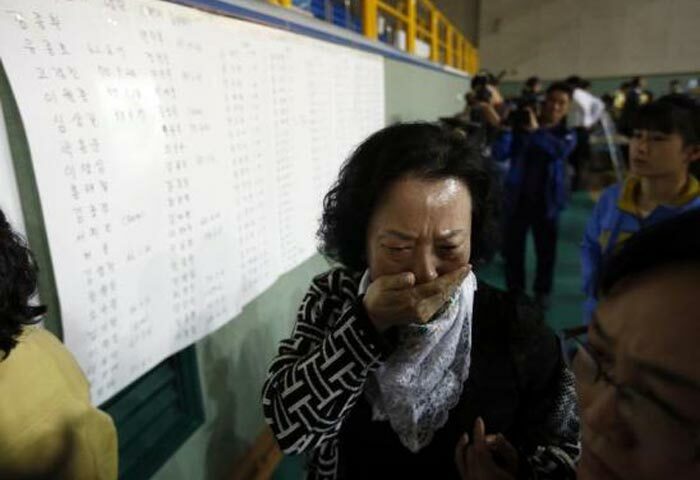 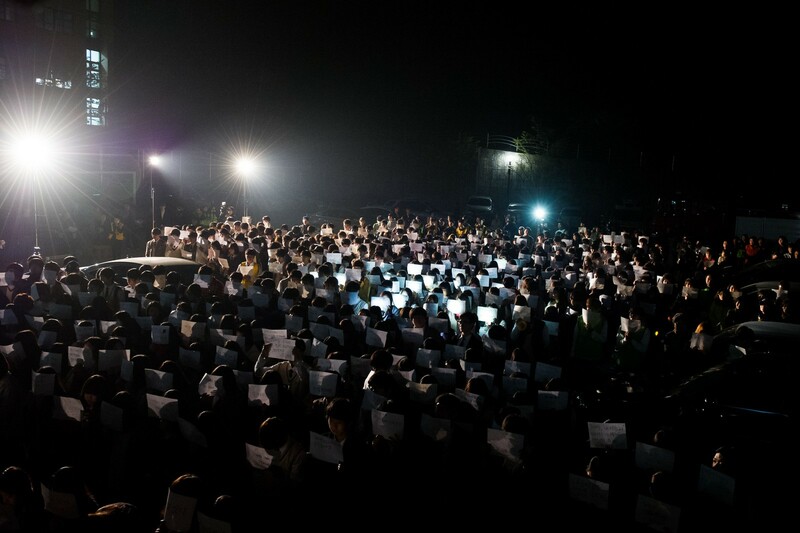 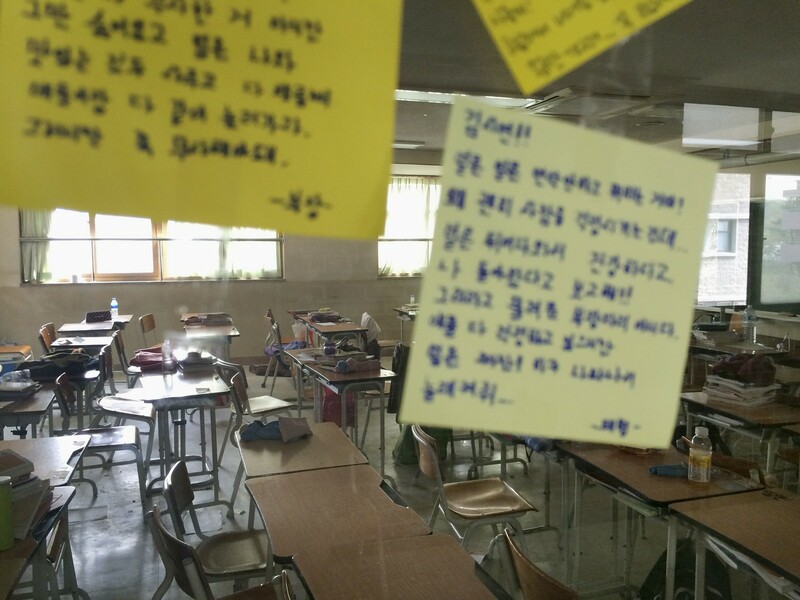 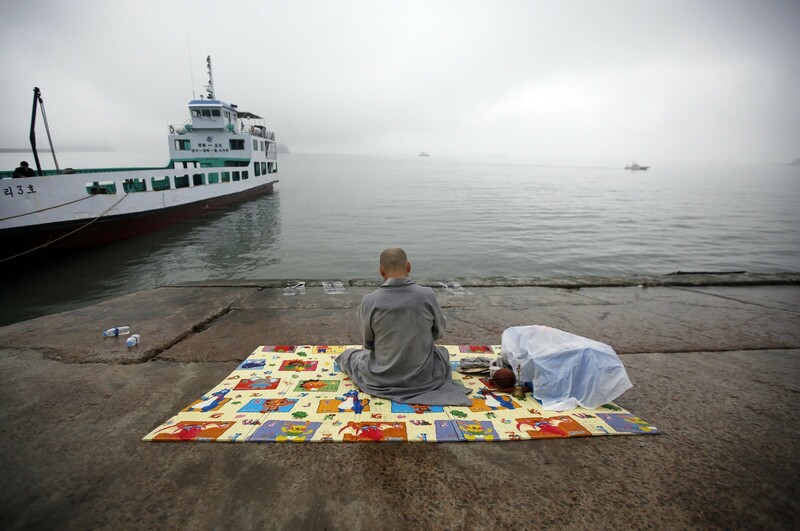 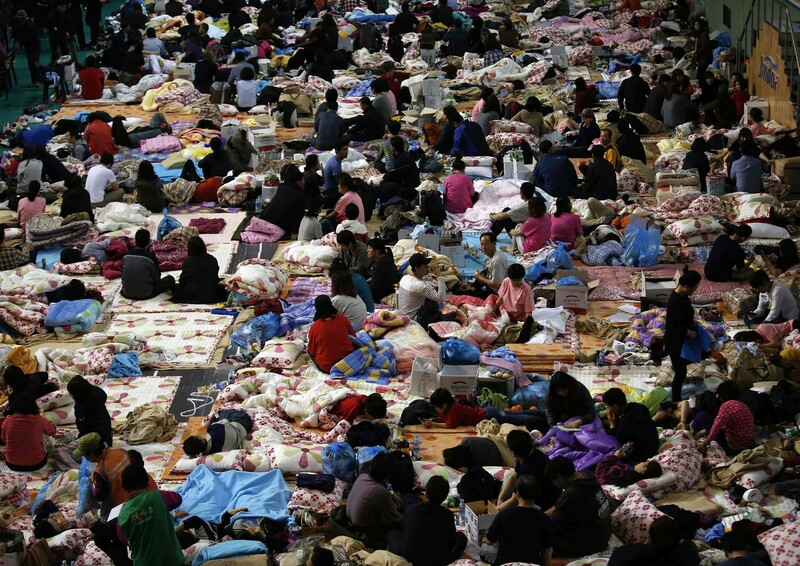 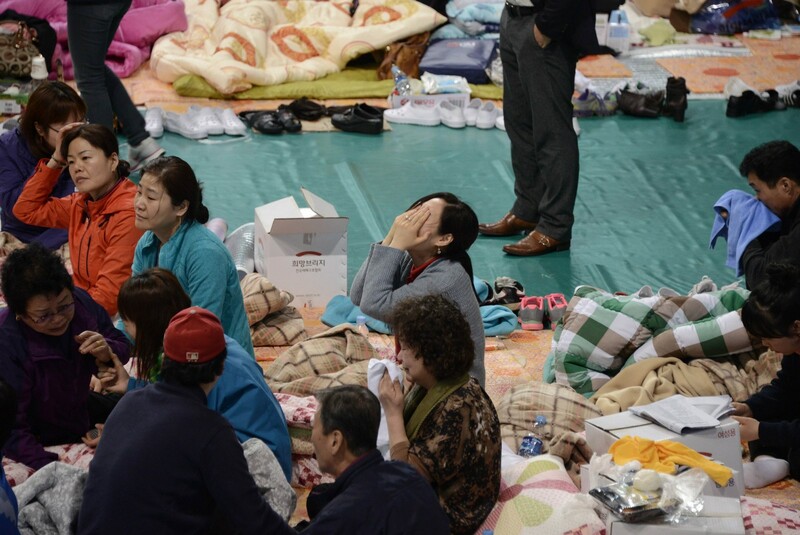 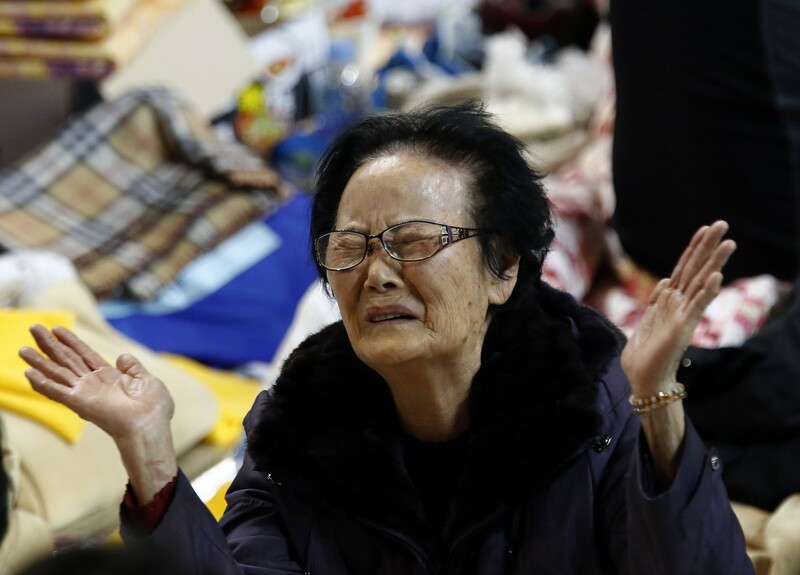 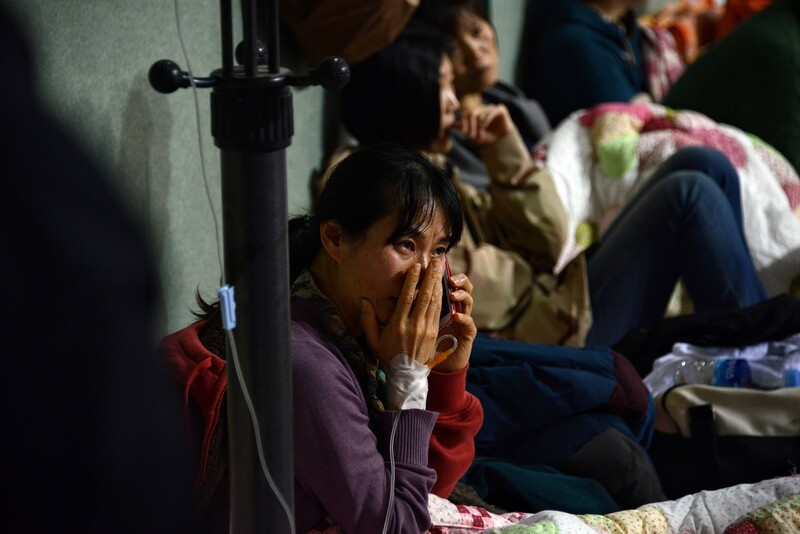 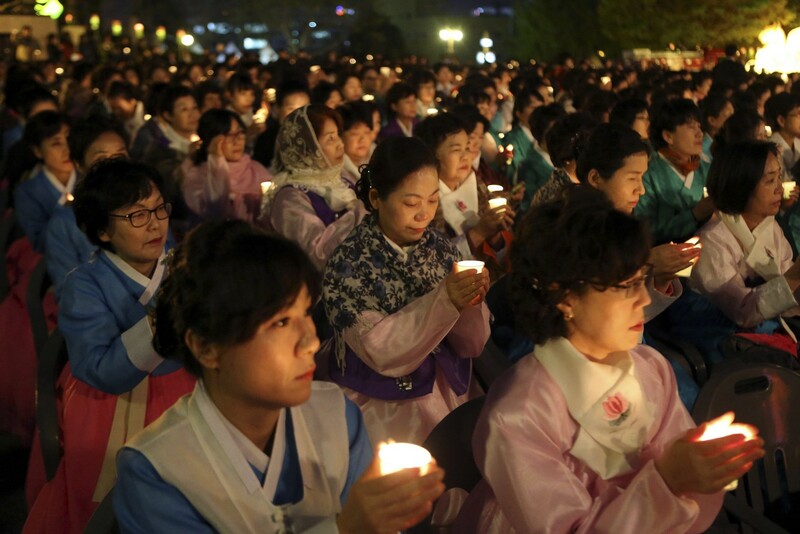 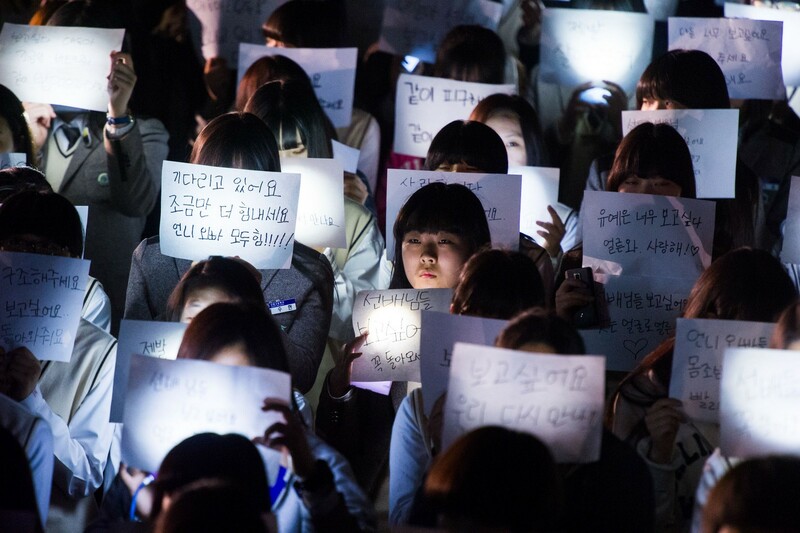 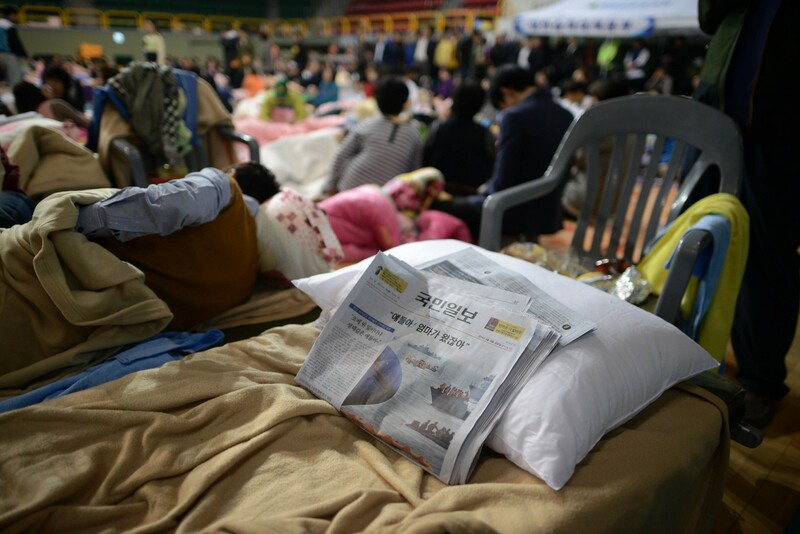 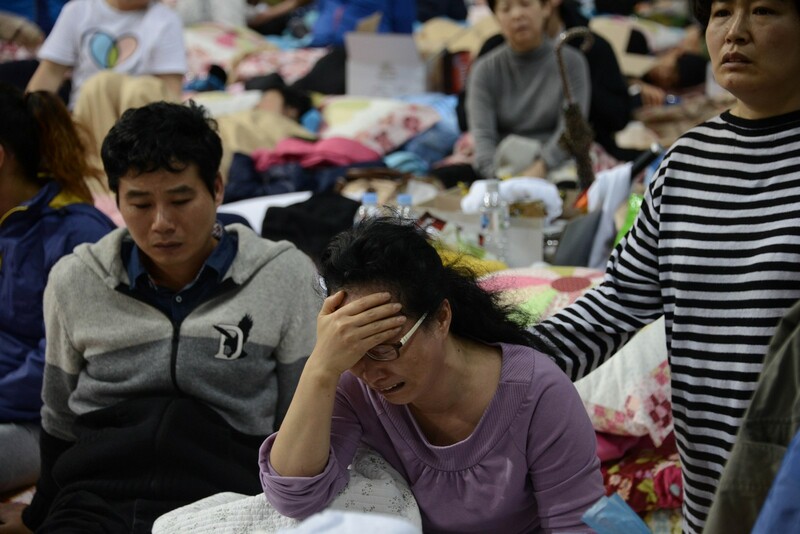 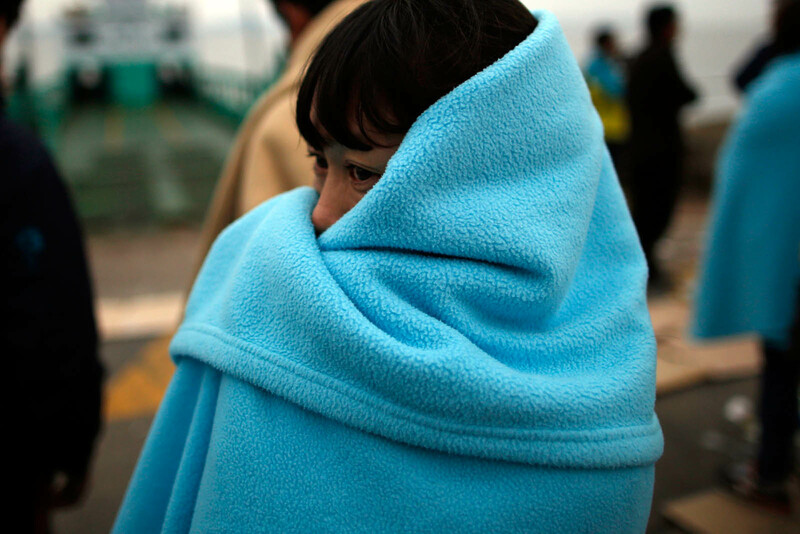 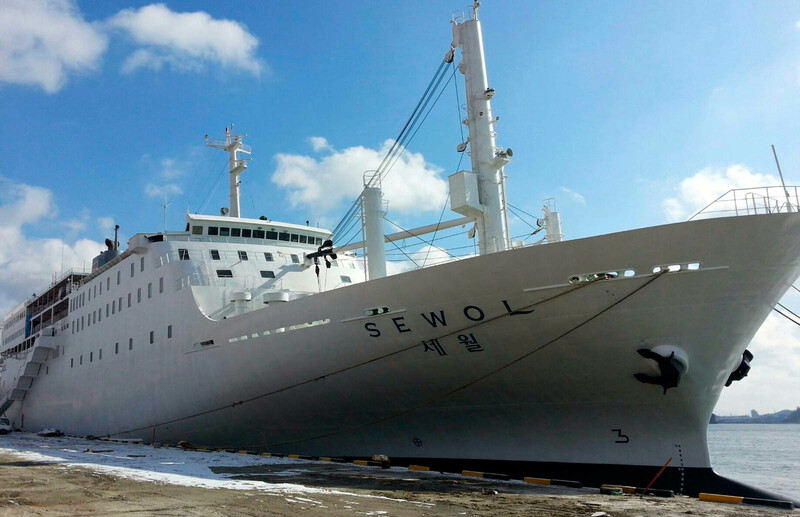 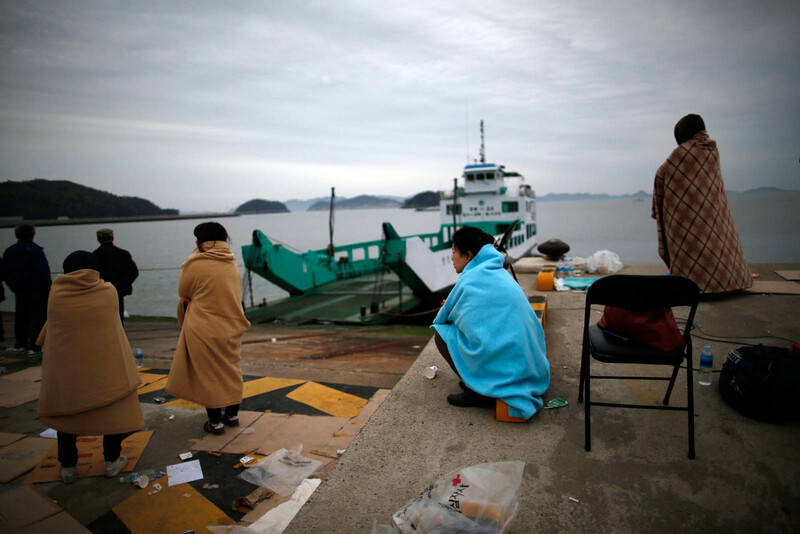 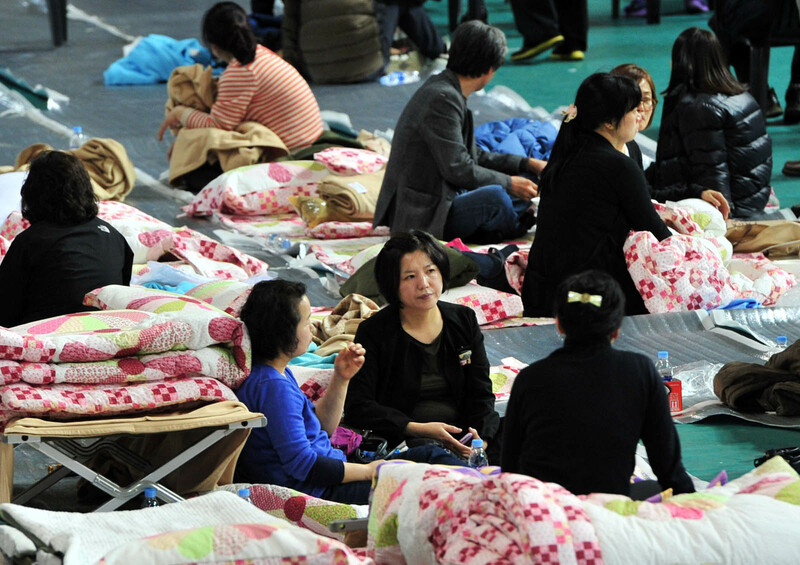 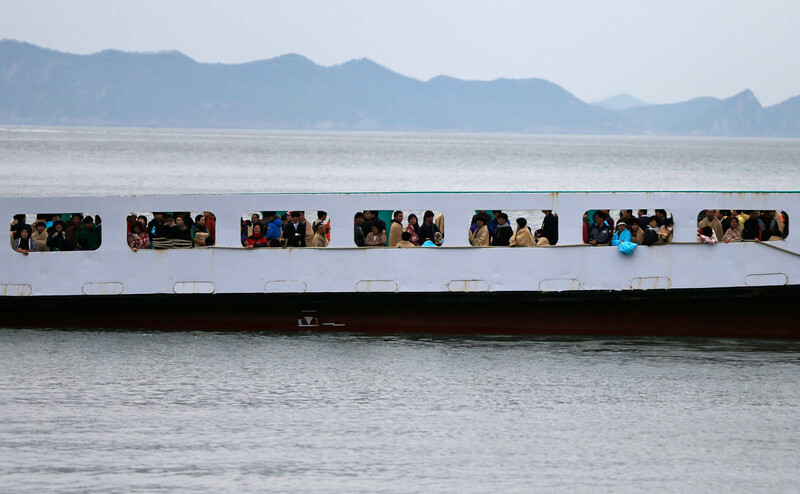 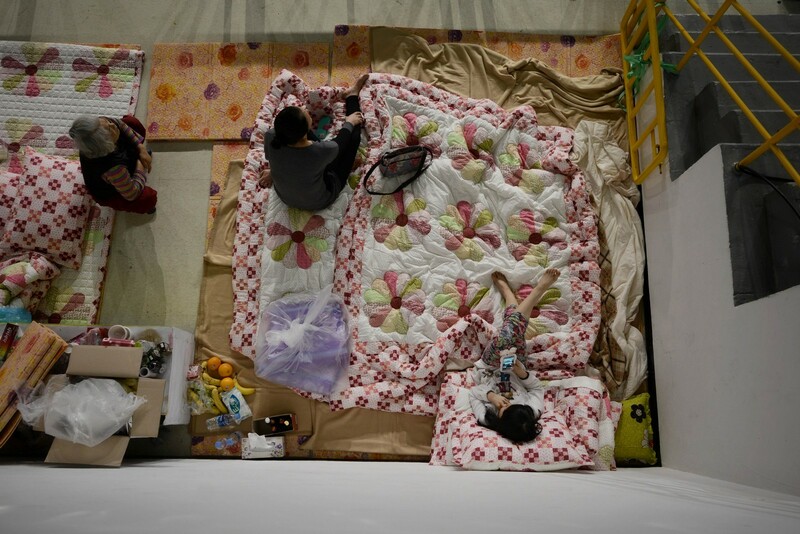 The 6,825-ton Sewol now sits in waters off Jindo, South Jeolla Province, where some parents have been desperately waiting for their children's return. 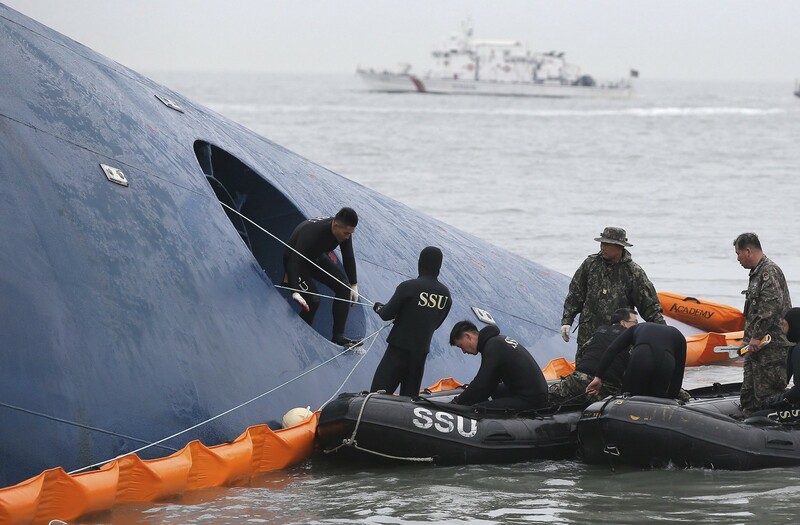 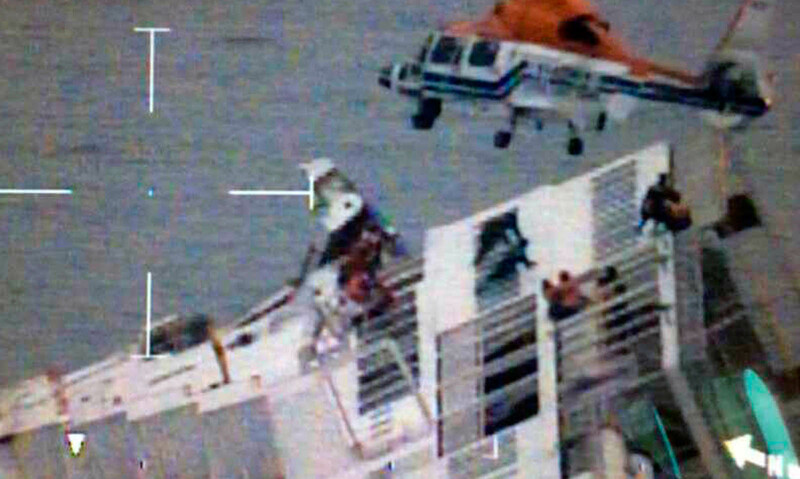 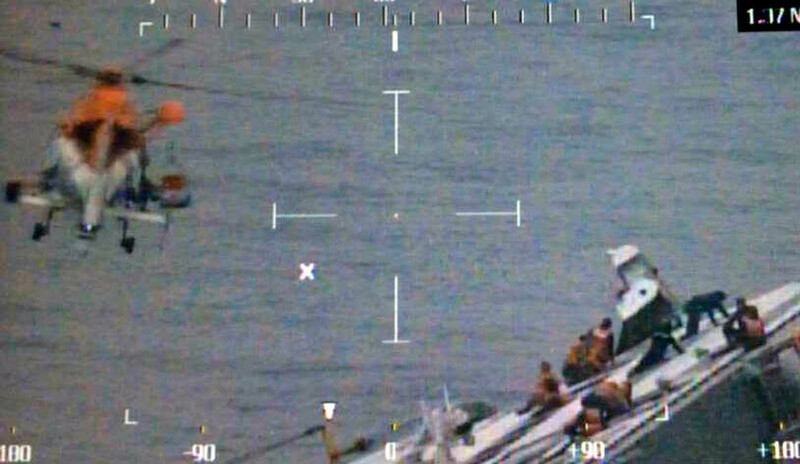 Up to 563 divers were dispatched on Sunday to scour inside and around the vessel, while pumping oxygen into the ship to help potential survivors in air pockets. 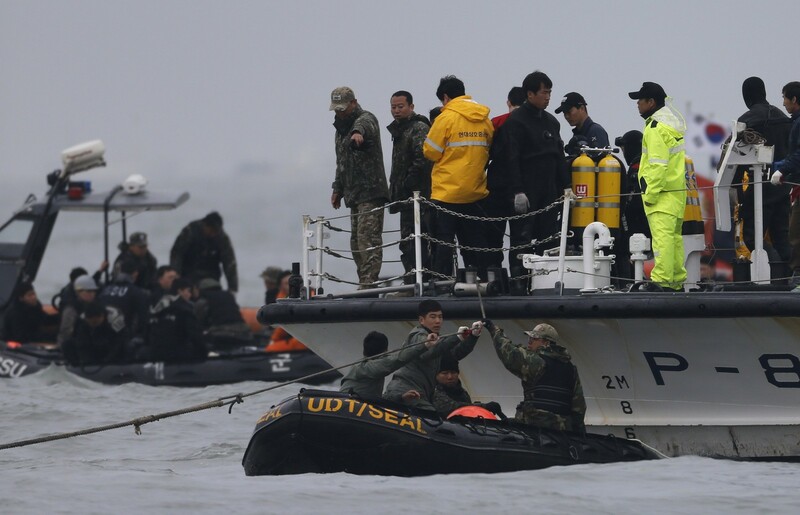 There are also concerns about the safety of those taking part in the extensive search efforts. 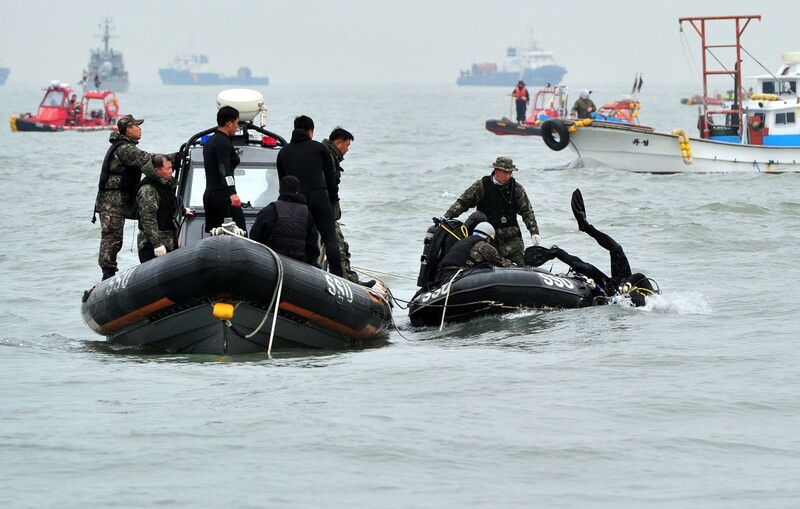 In 2010, a veteran diver who served in the Navy for more than 30 years died during the rescue operation of the 1,200-ton corvette Cheonan. 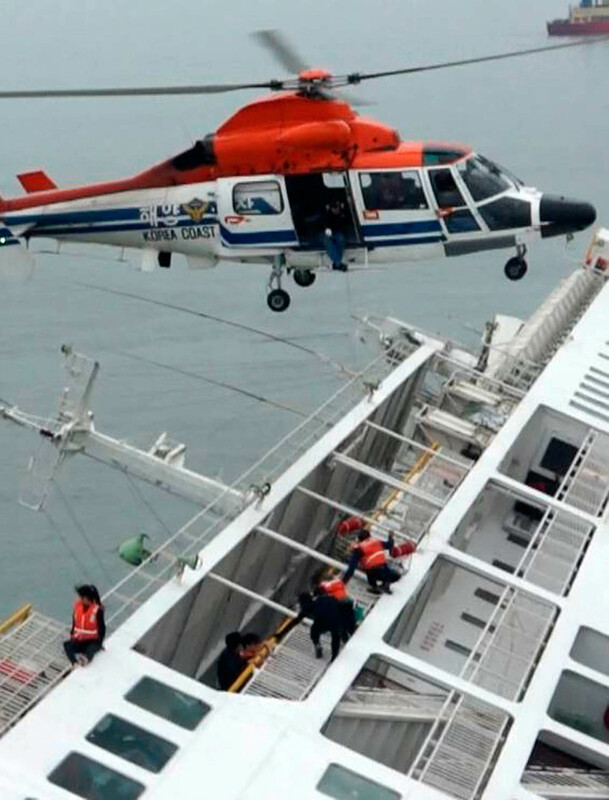 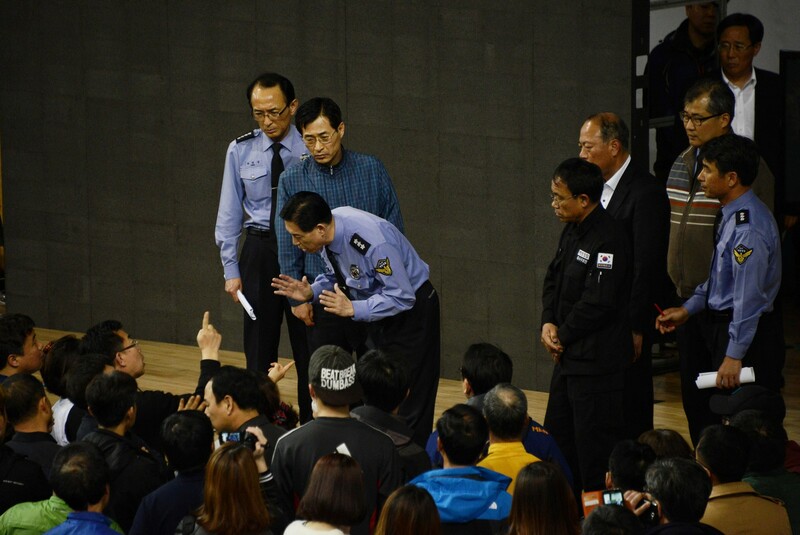 "Safety is not the foremost issue in such a situation. 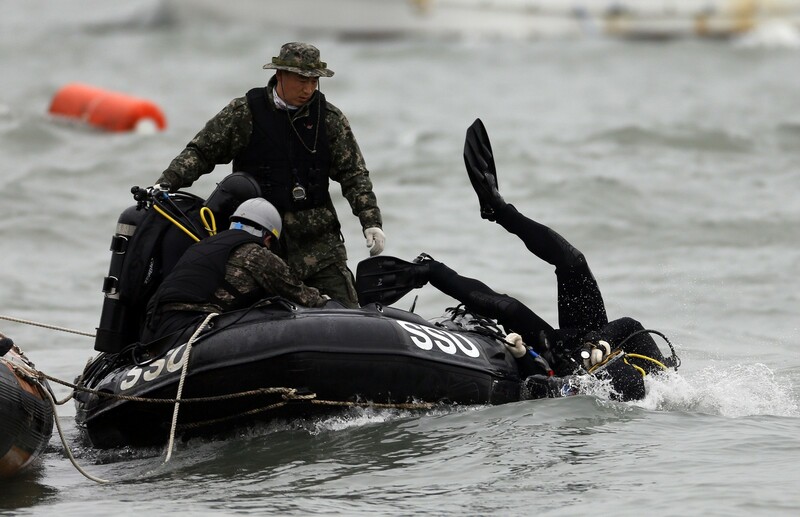 The most obvious, yet important goal of the search is not to leave a single person in the sea," Kang, the civilian diver, said.